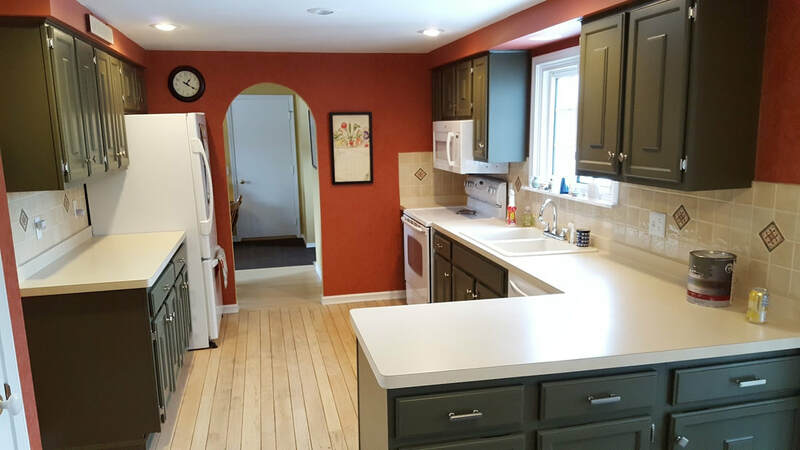 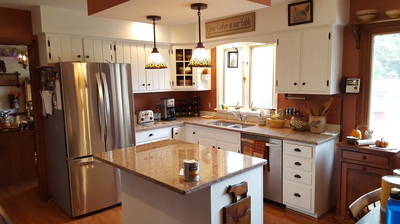 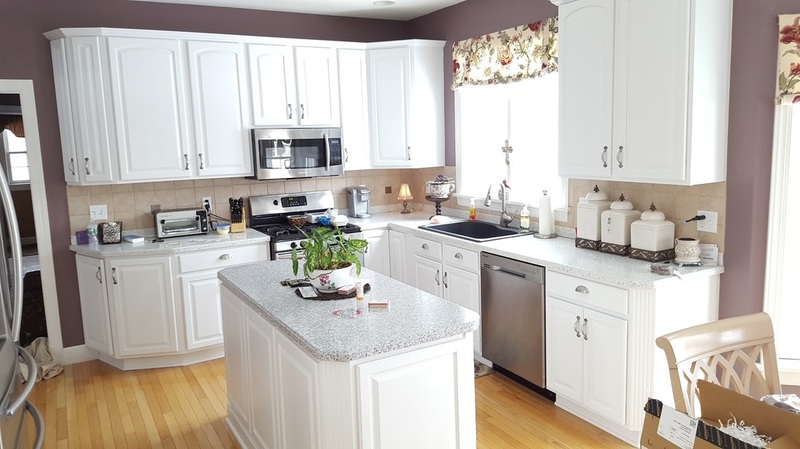 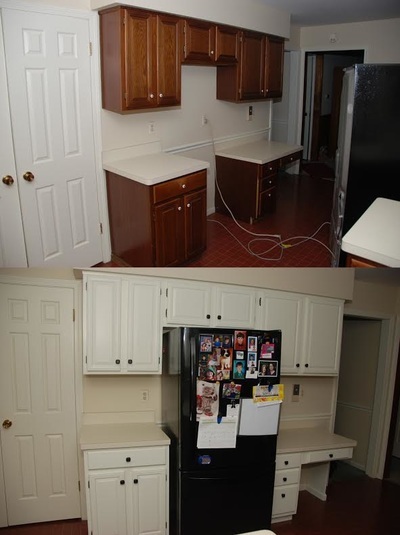 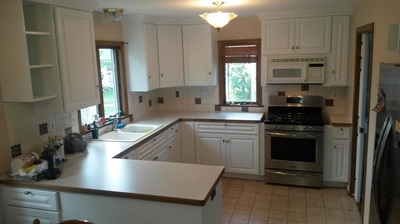 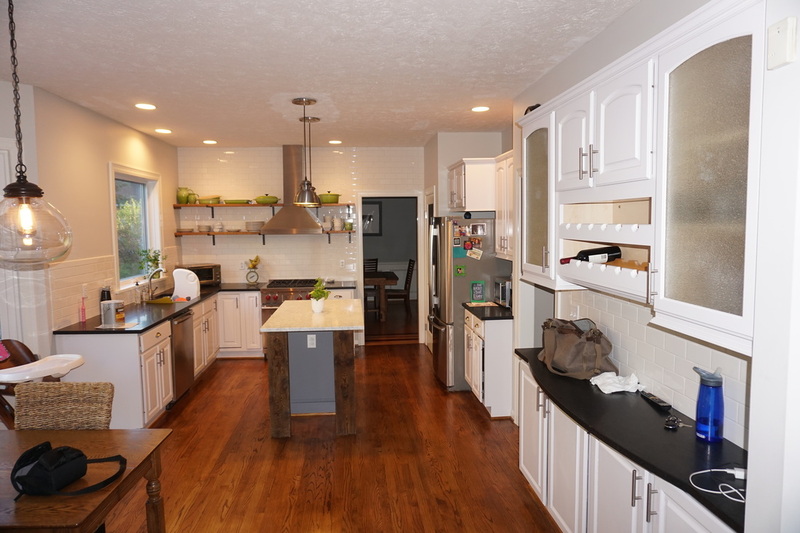 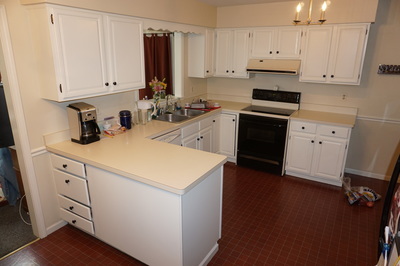 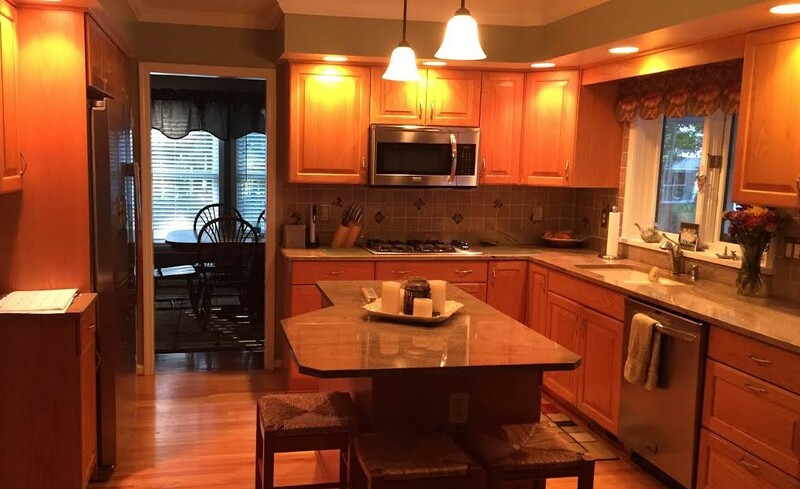 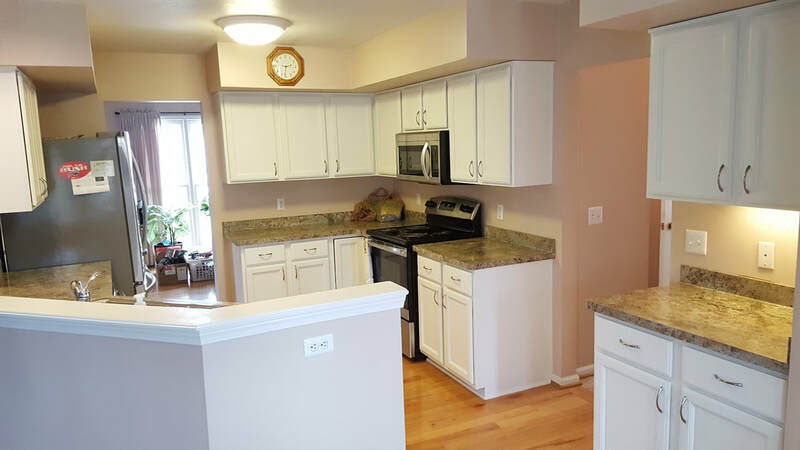 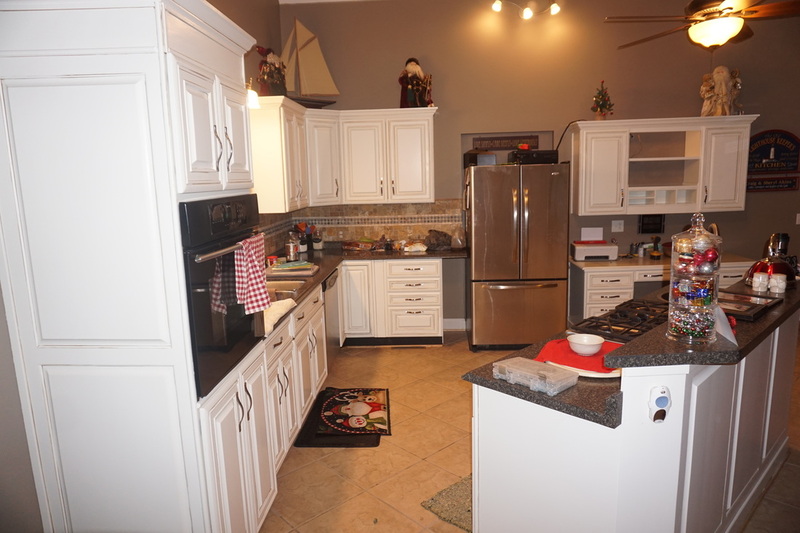 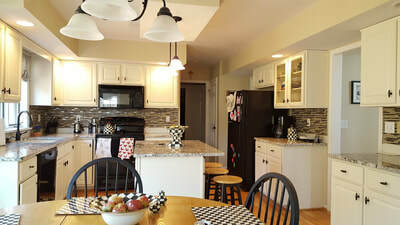 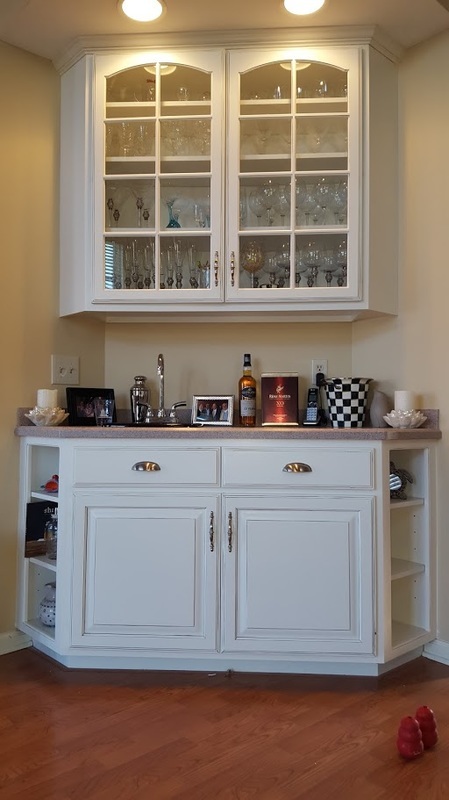 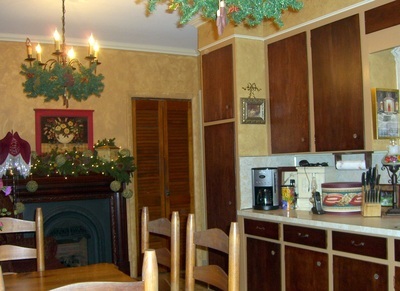 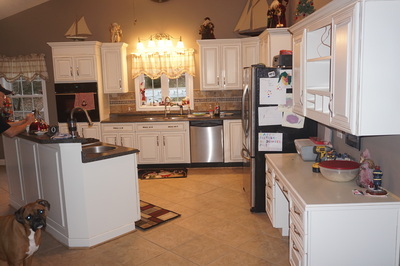 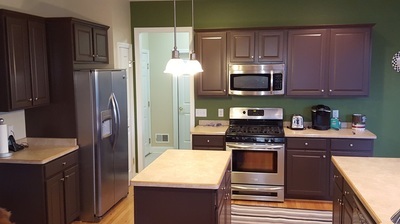 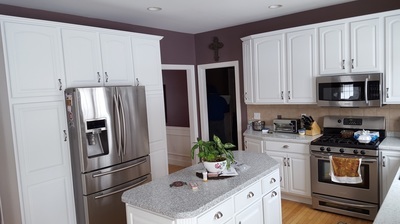 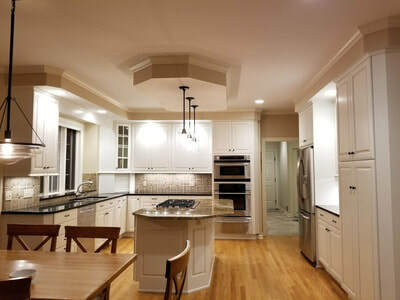 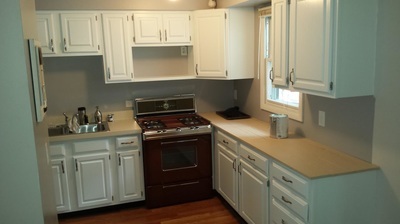 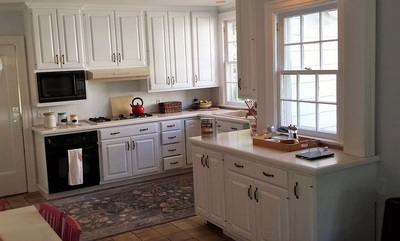 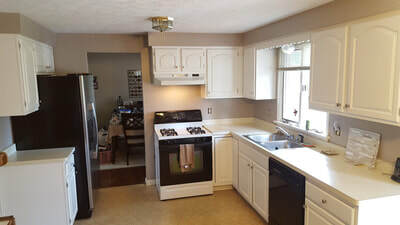 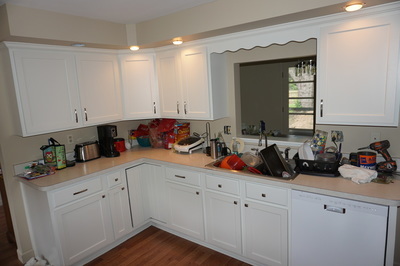 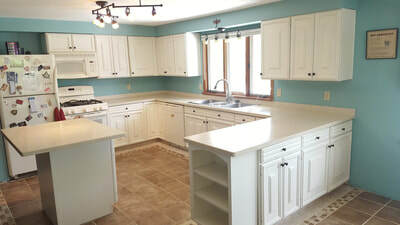 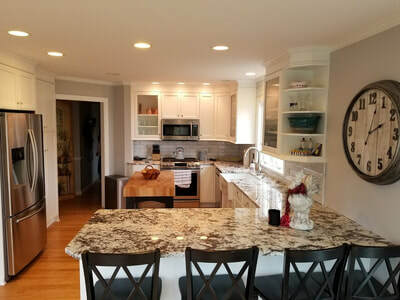 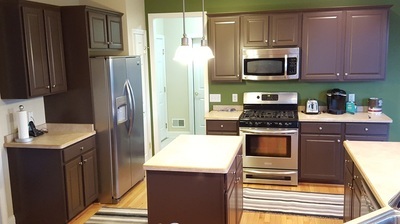 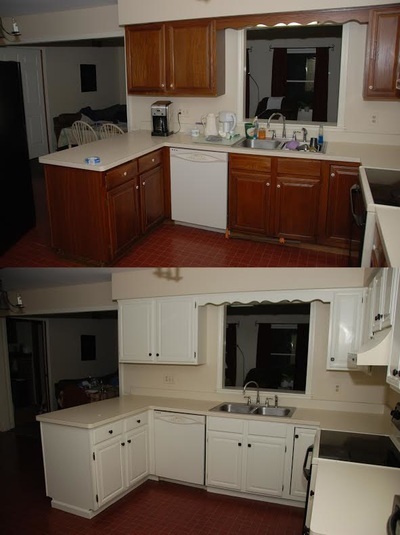 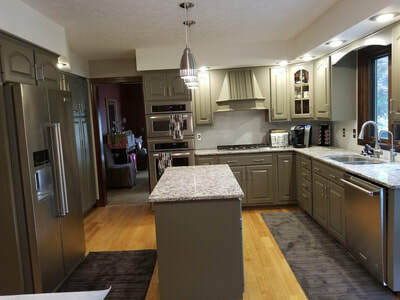 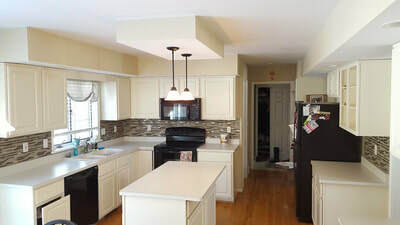 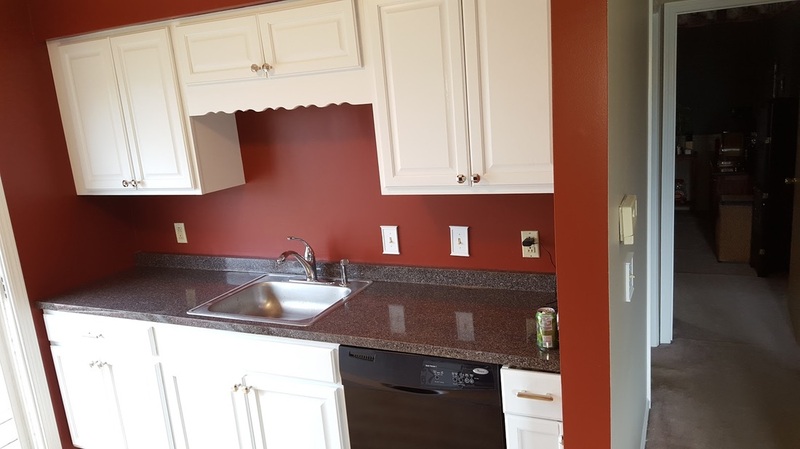 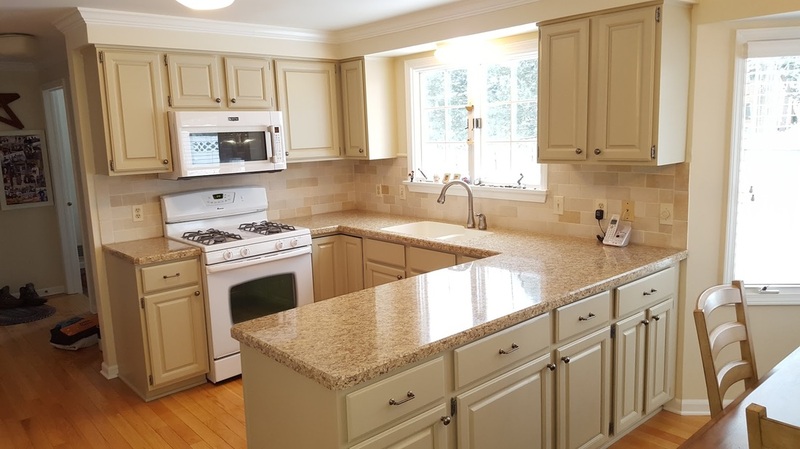 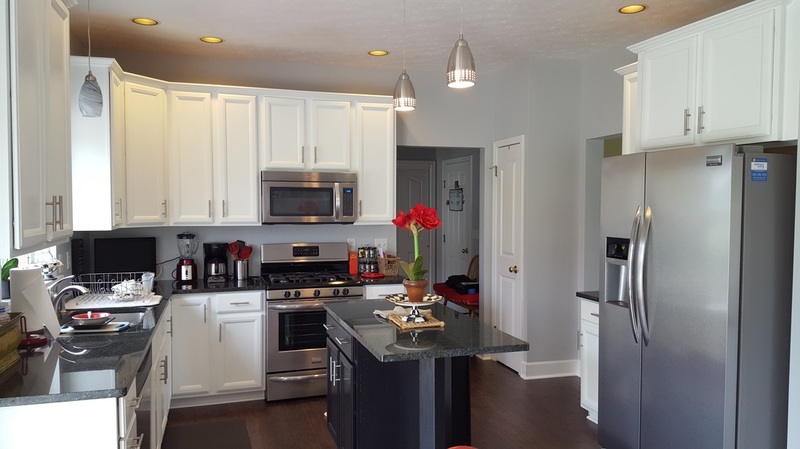 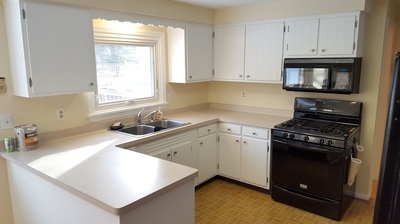 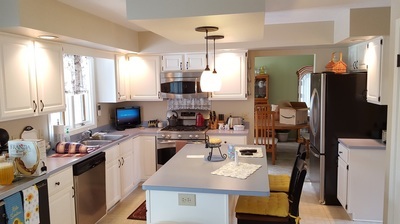 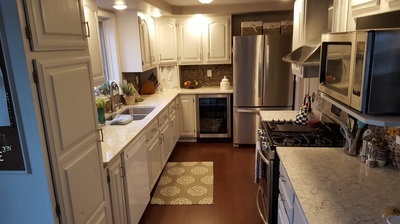 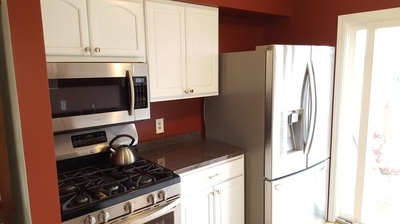 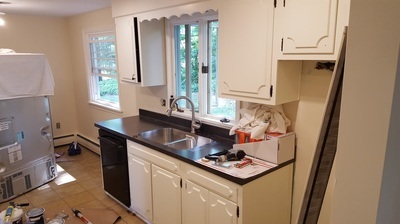 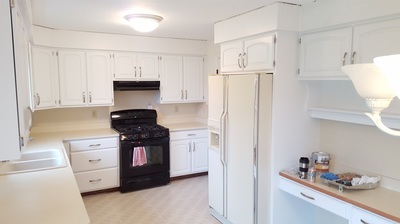 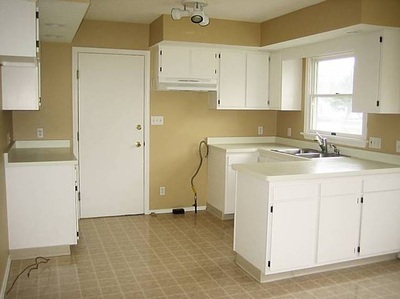 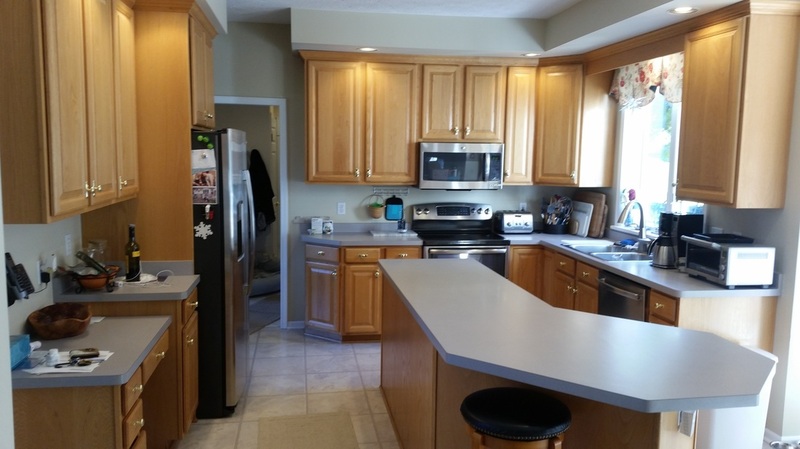 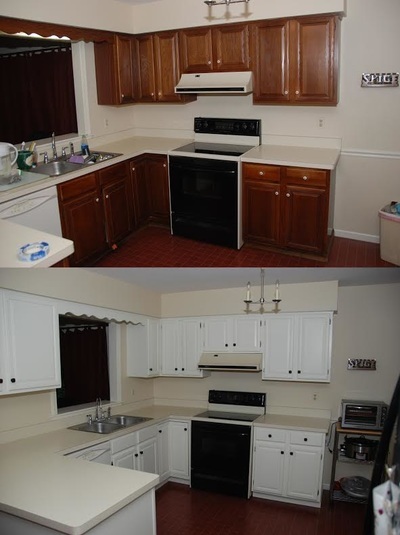 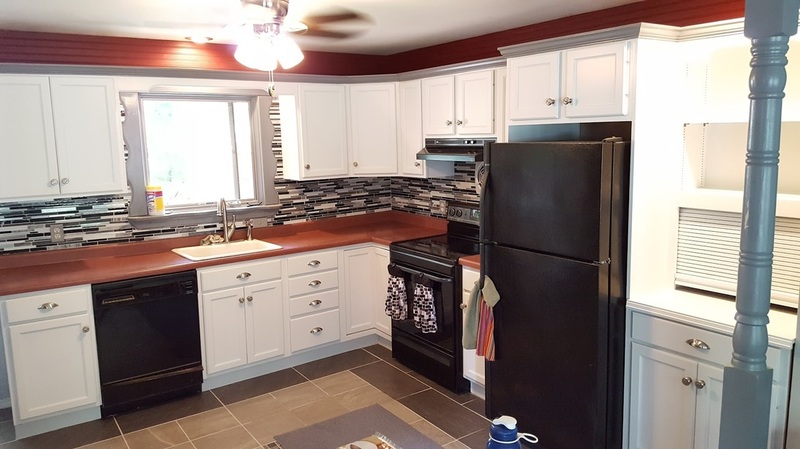 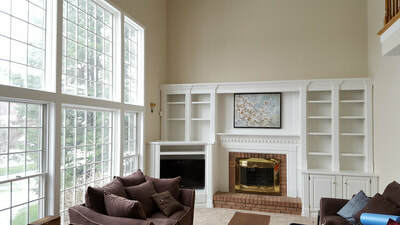 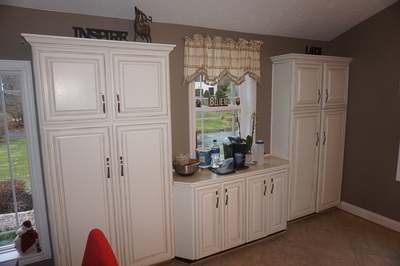 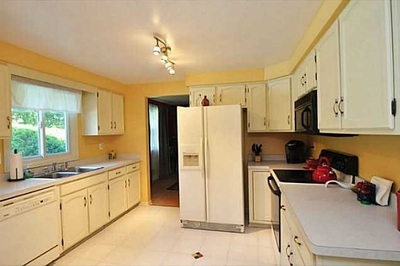 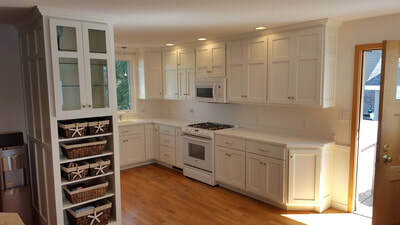 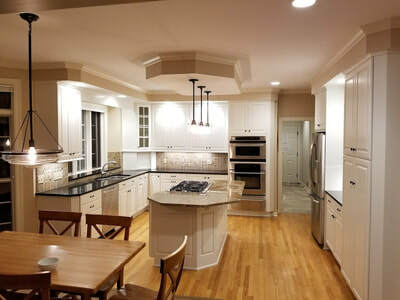 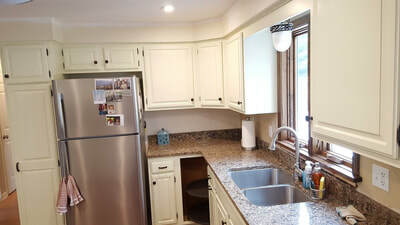 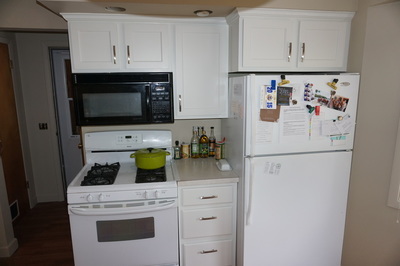 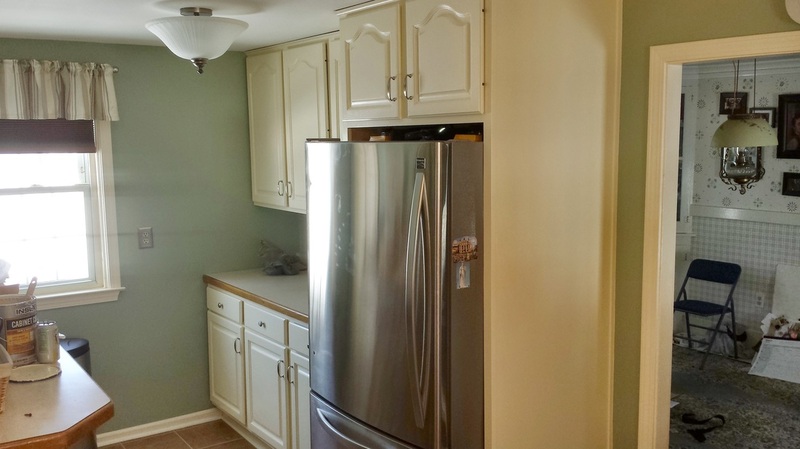 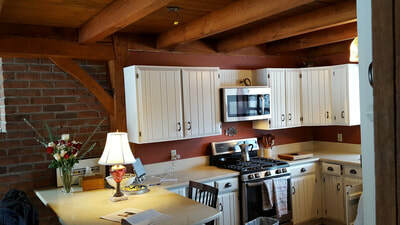 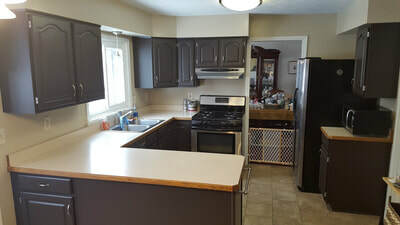 Red Truck Painting specializes in Rochester cabinet painting and cabinetry refinishing. 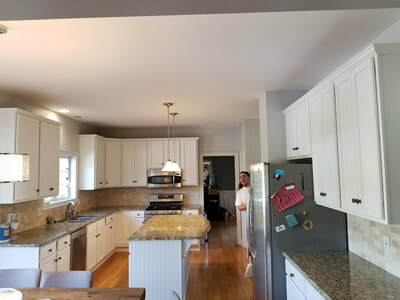 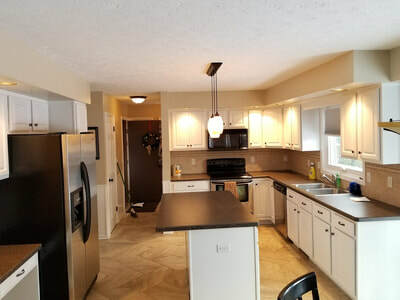 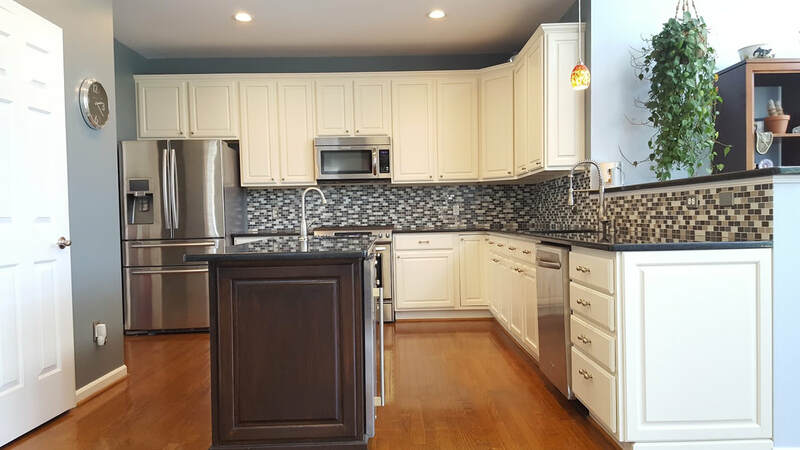 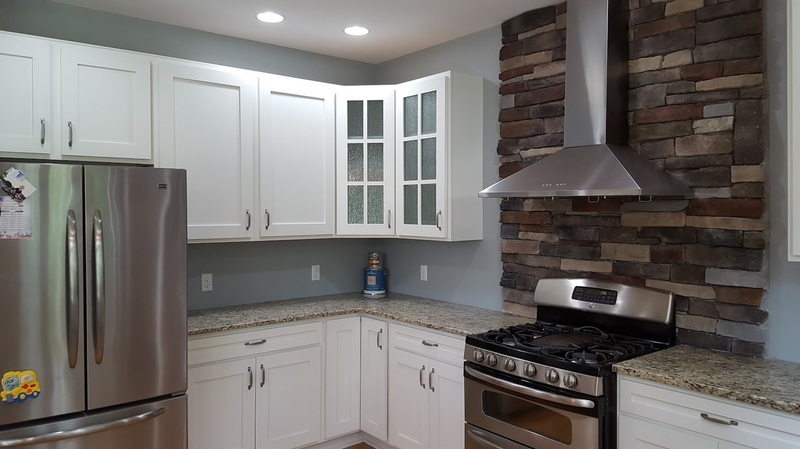 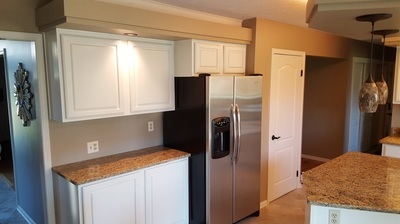 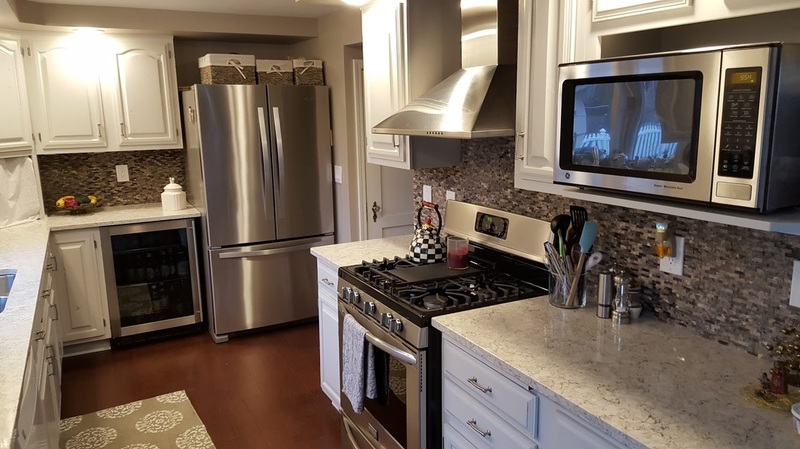 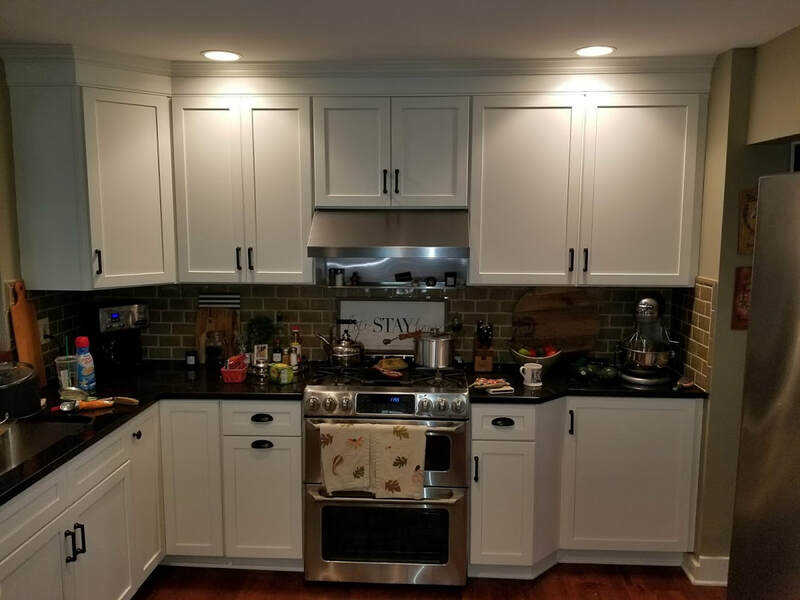 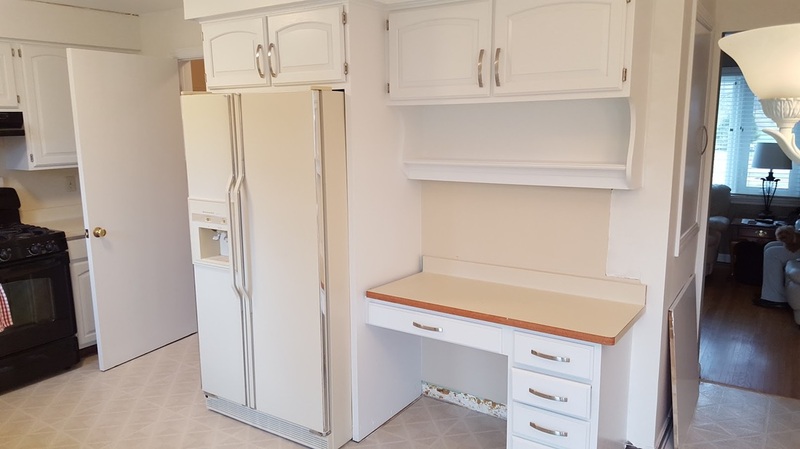 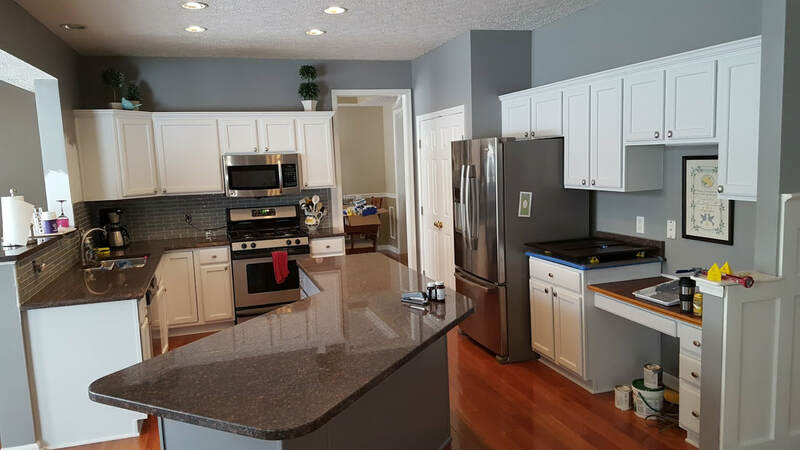 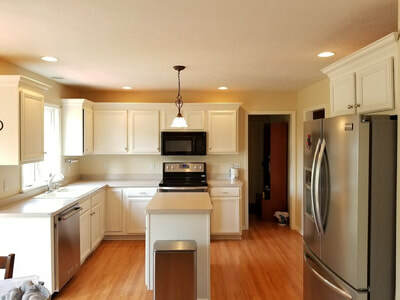 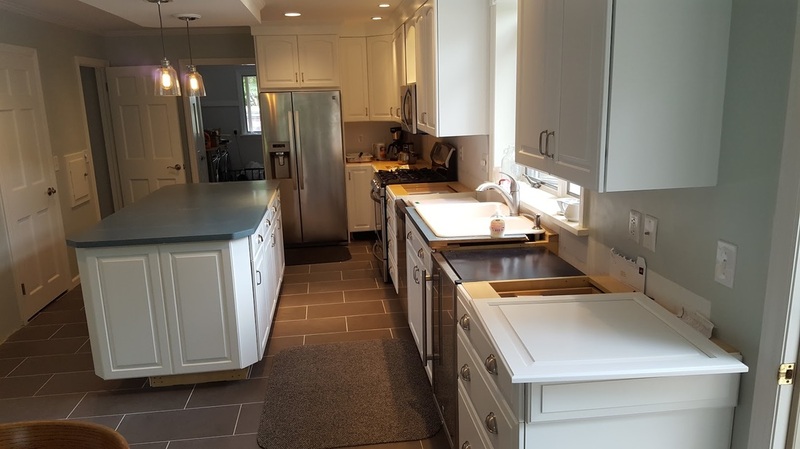 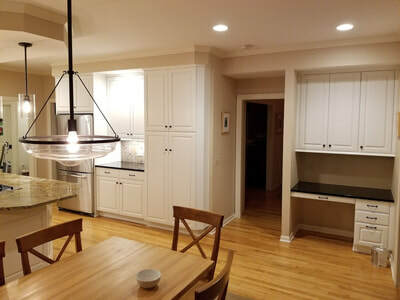 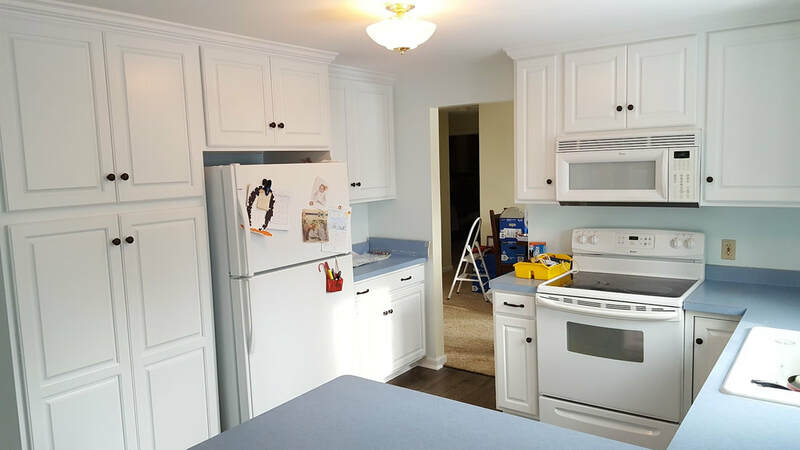 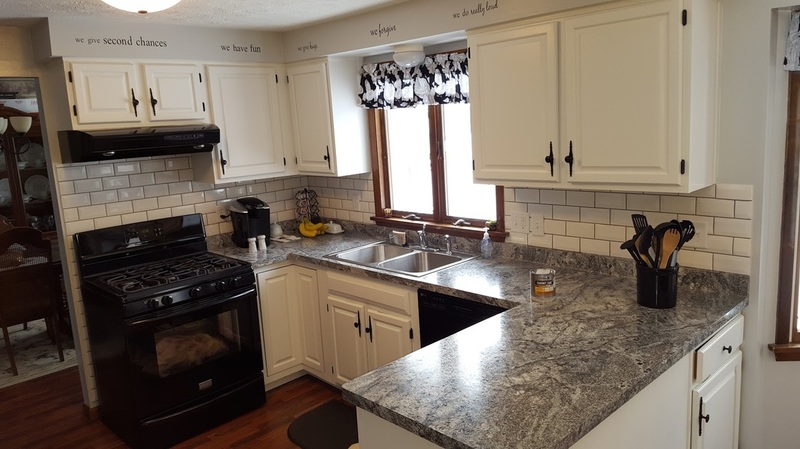 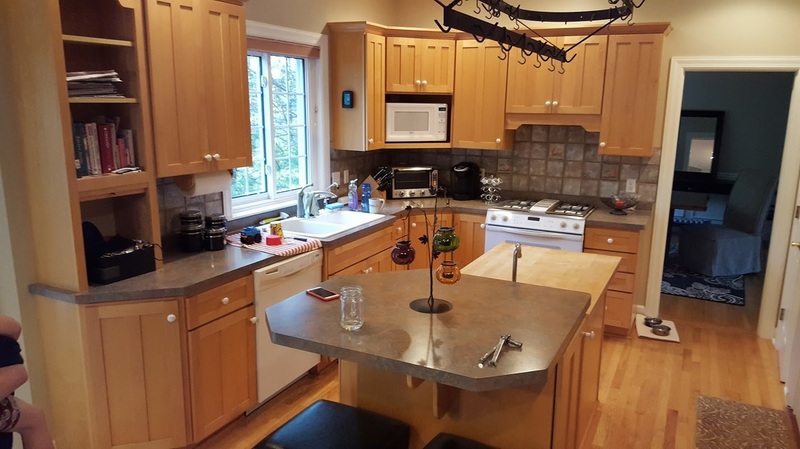 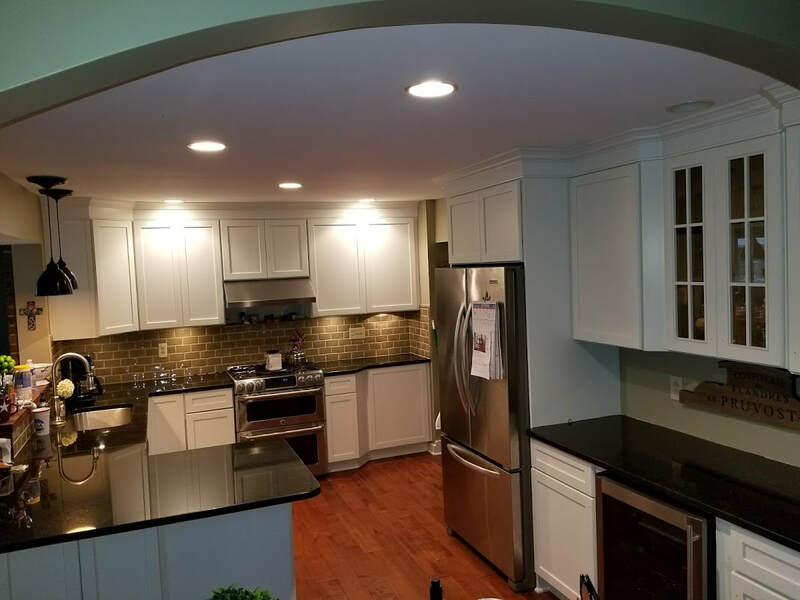 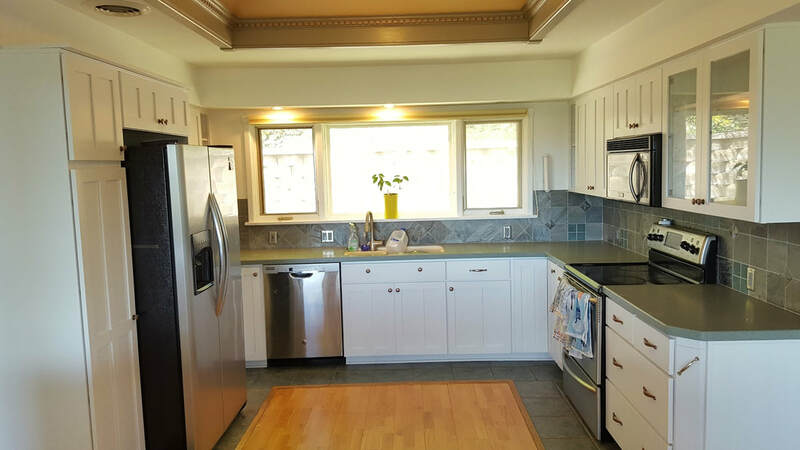 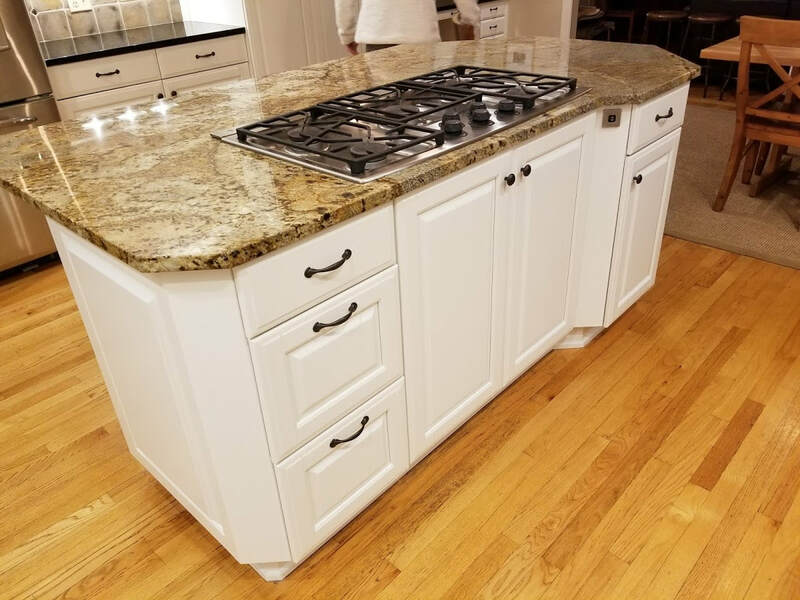 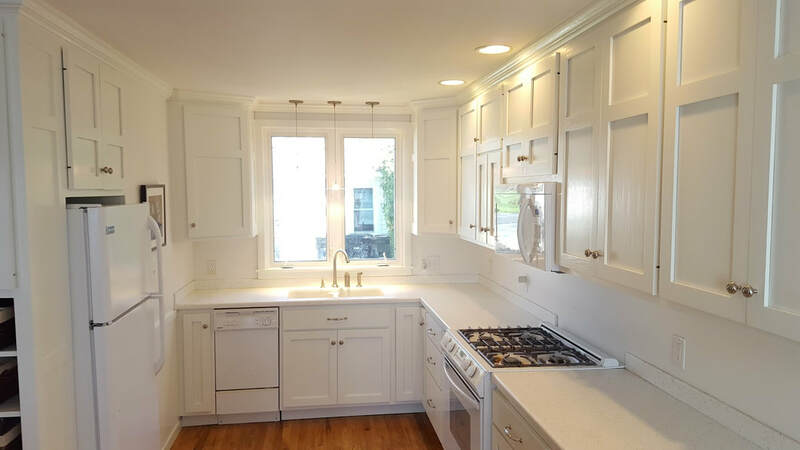 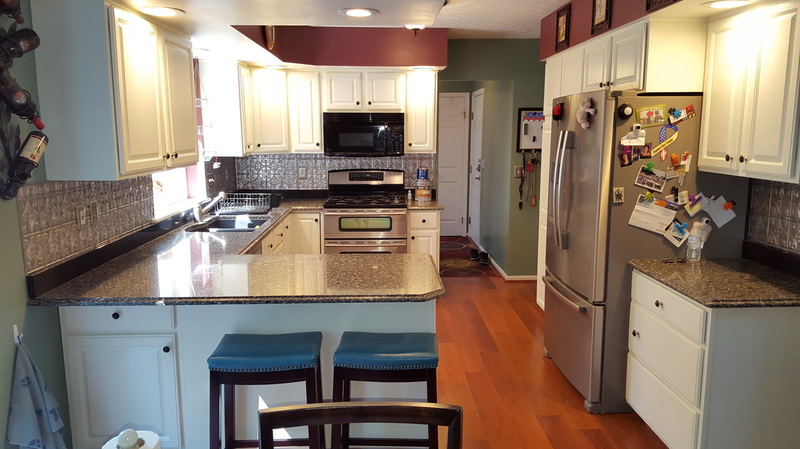 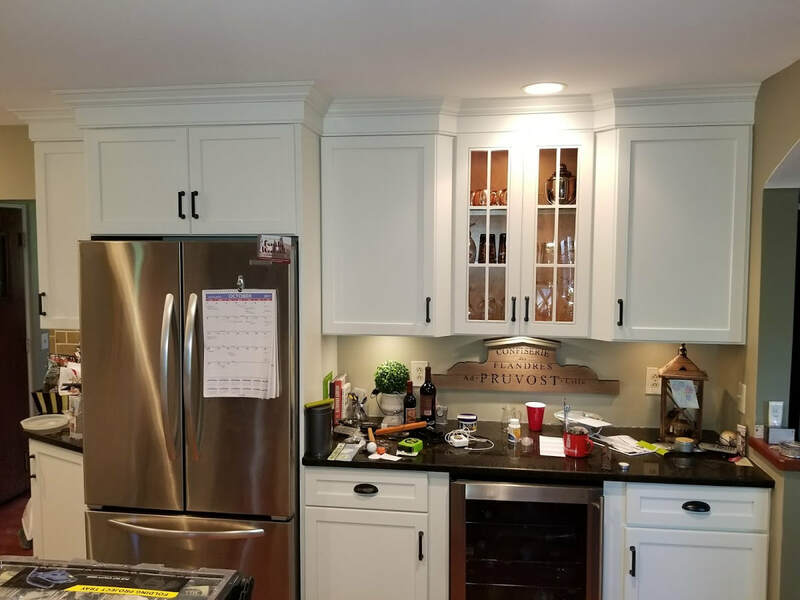 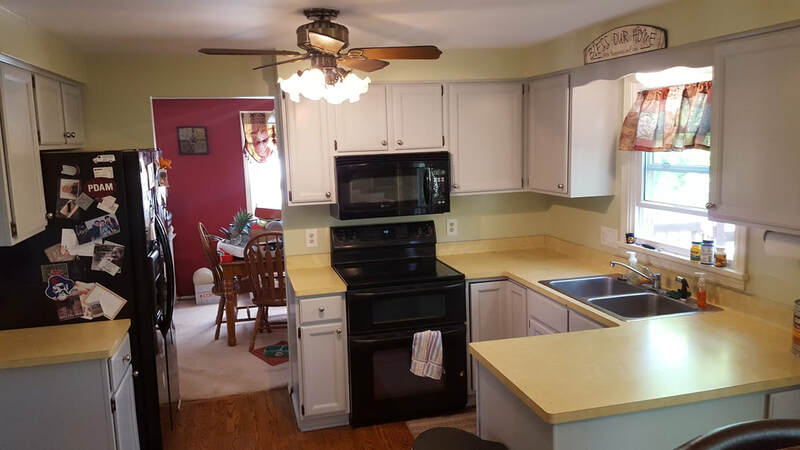 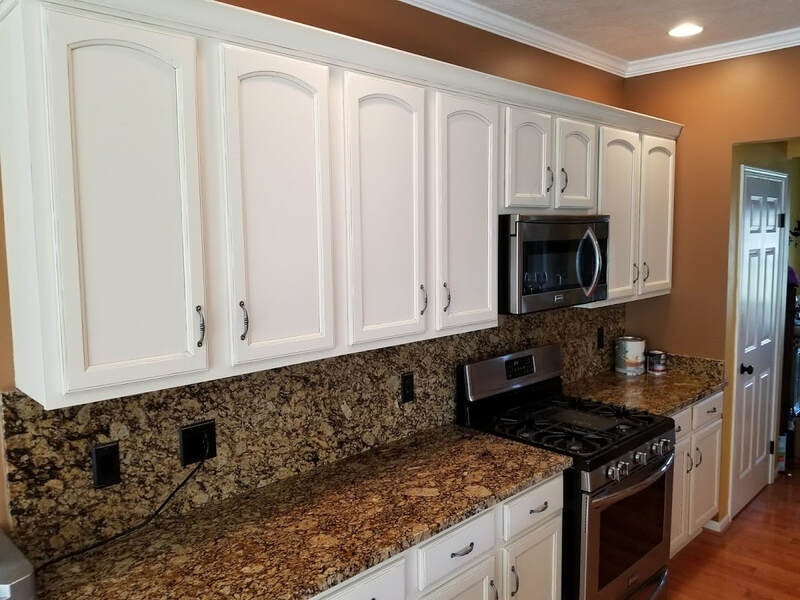 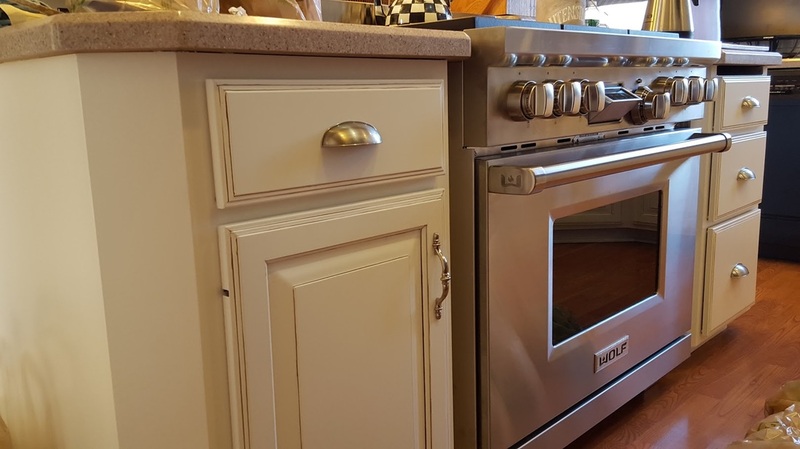 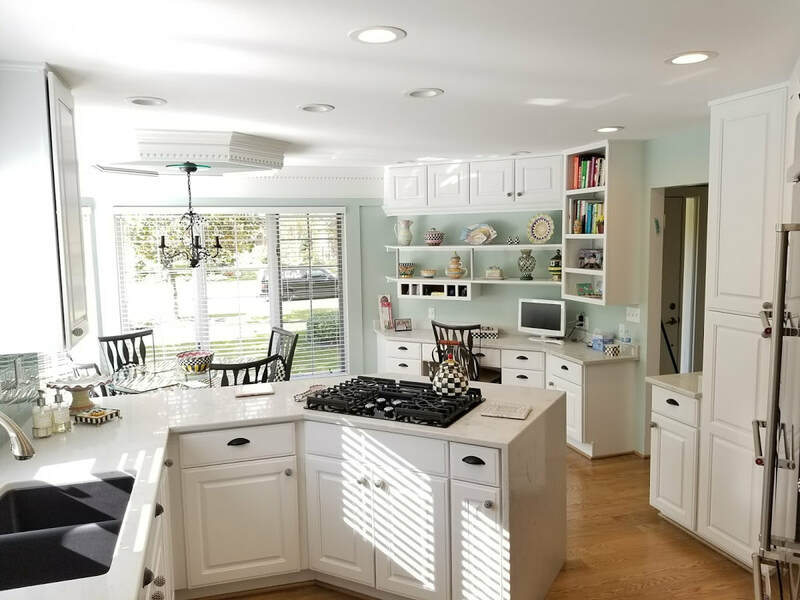 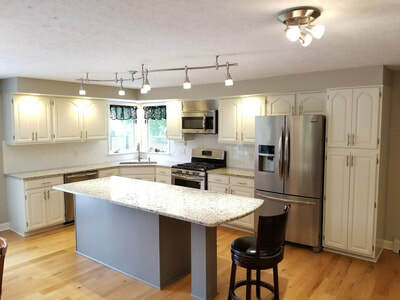 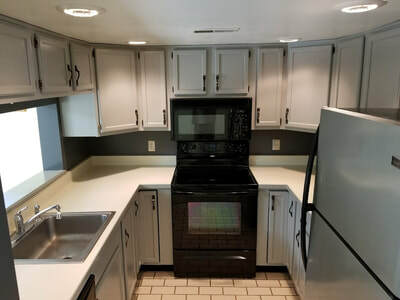 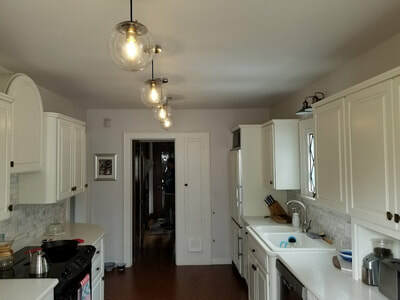 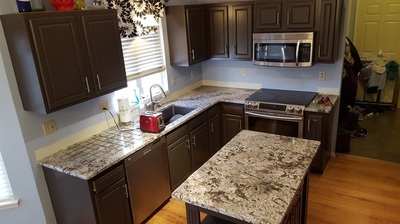 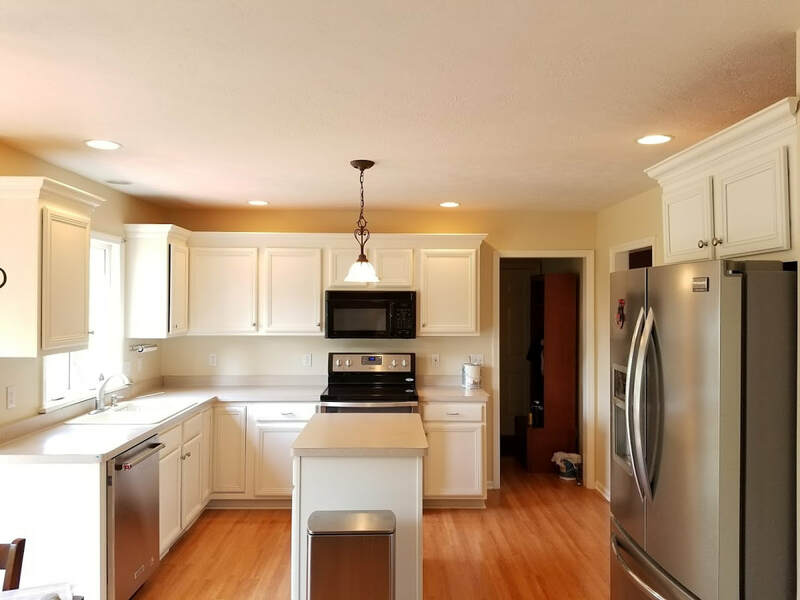 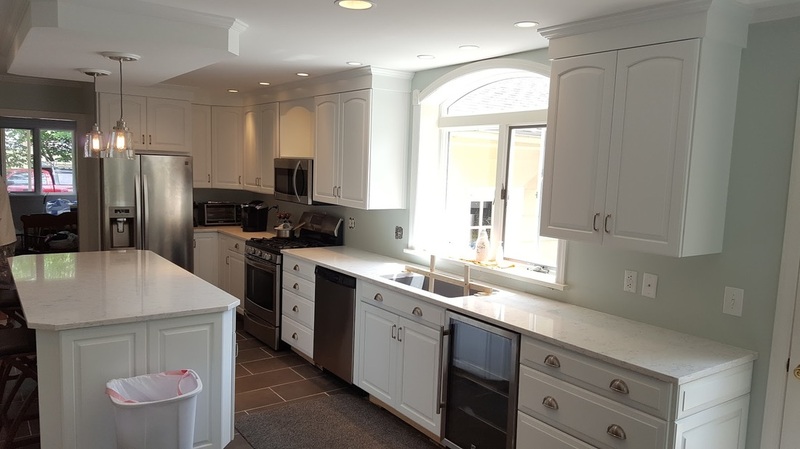 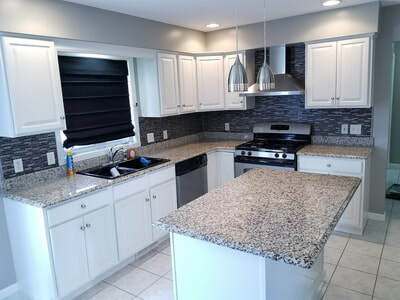 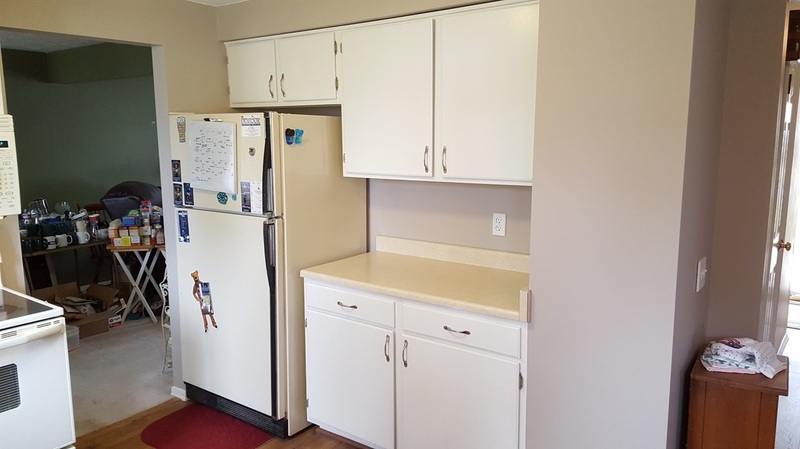 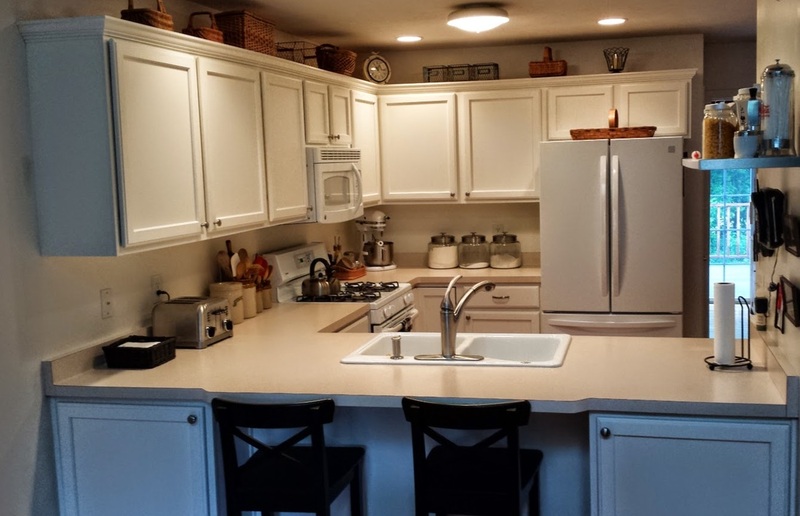 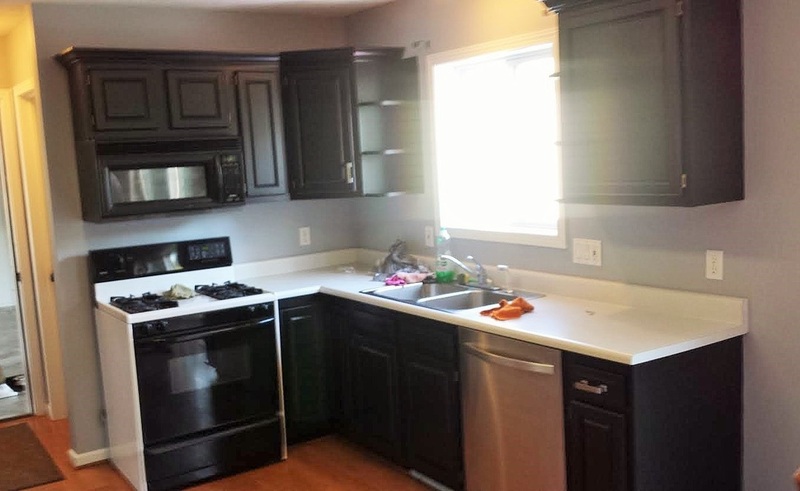 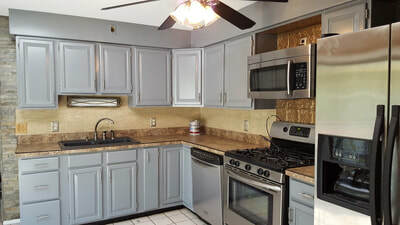 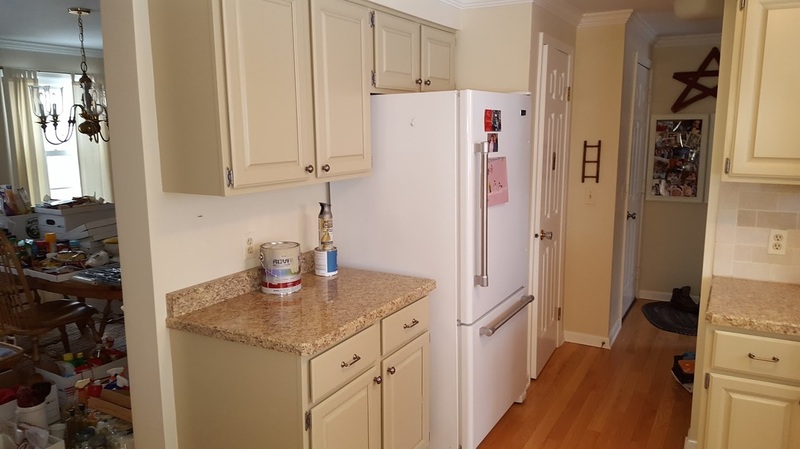 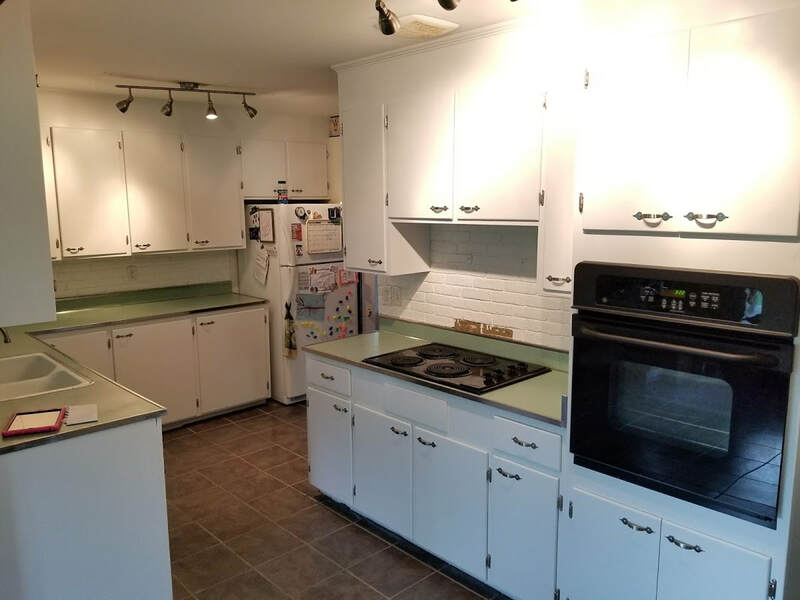 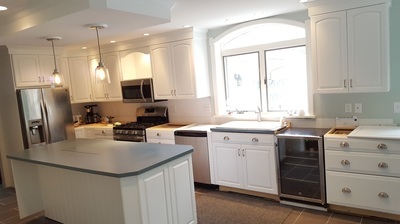 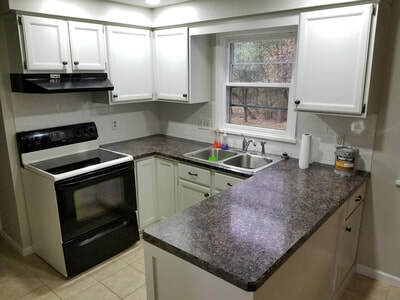 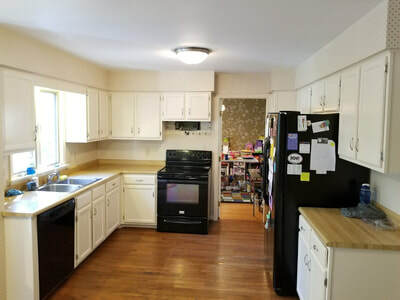 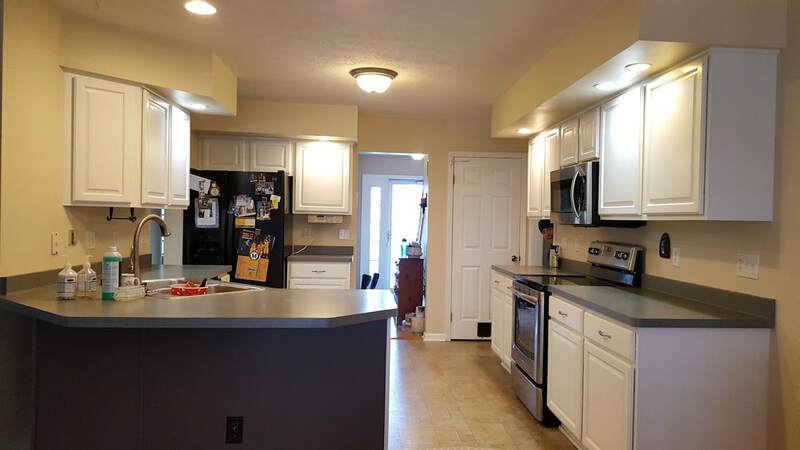 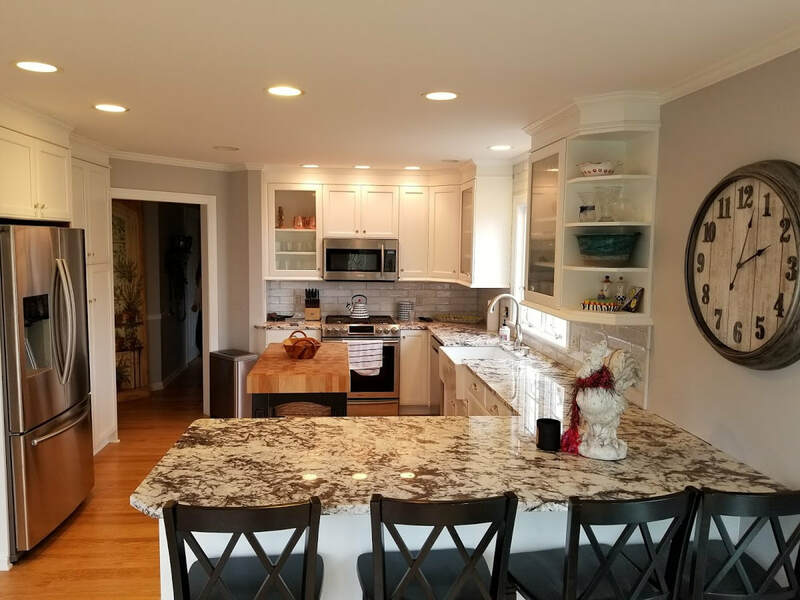 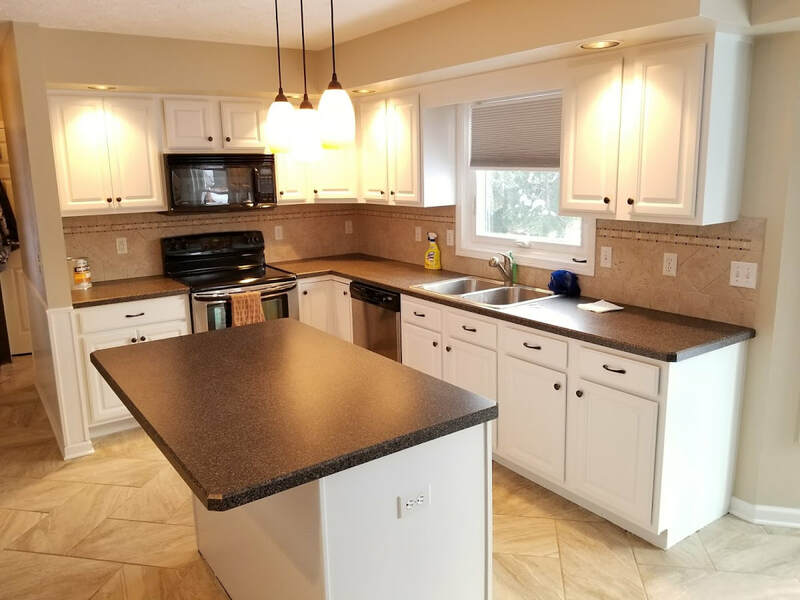 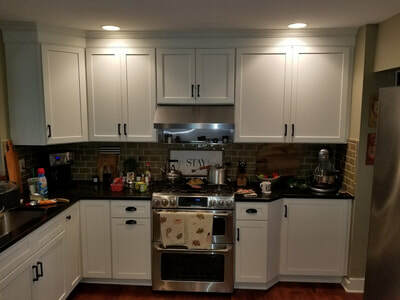 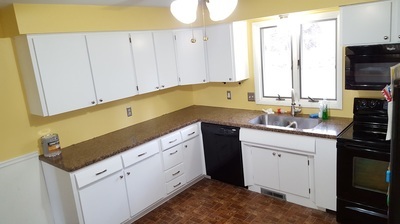 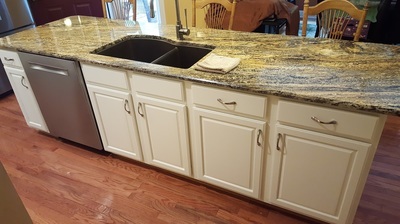 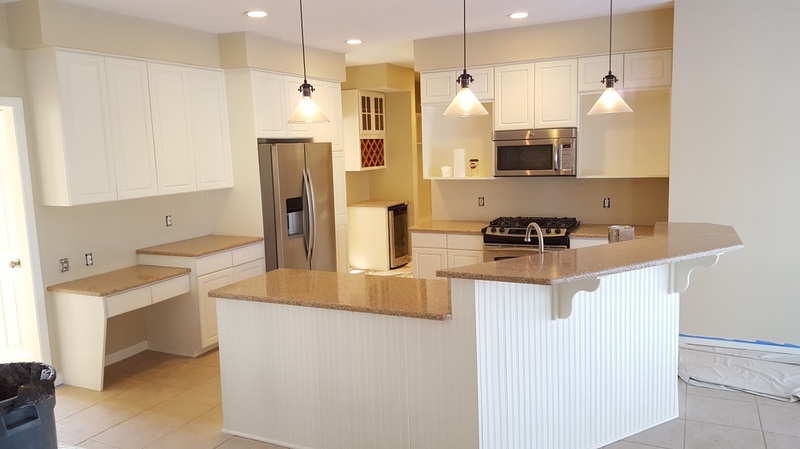 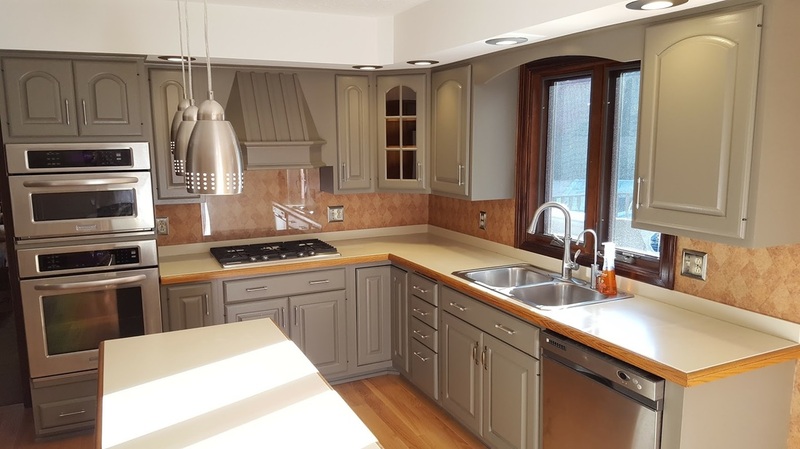 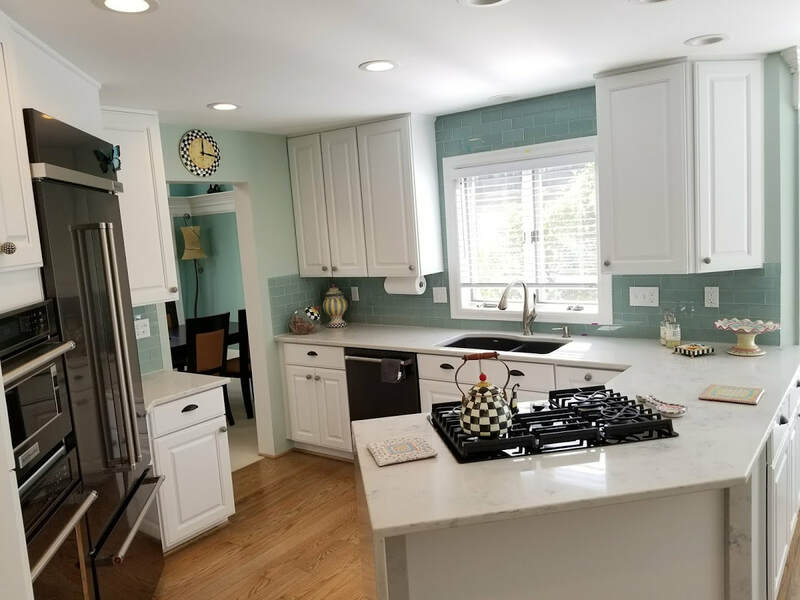 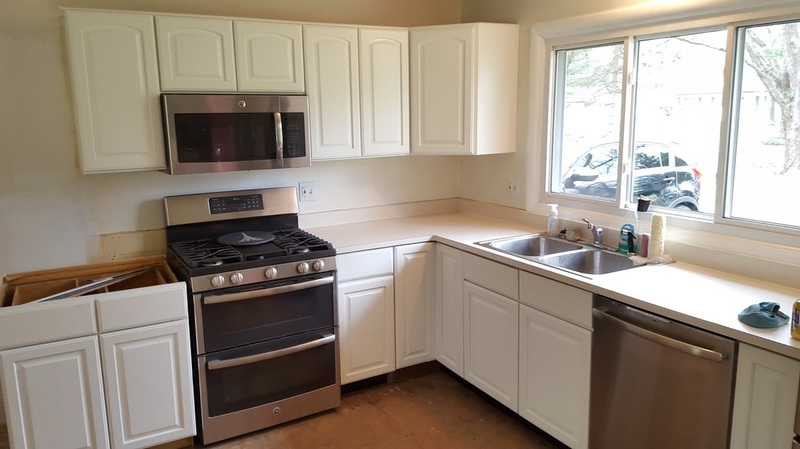 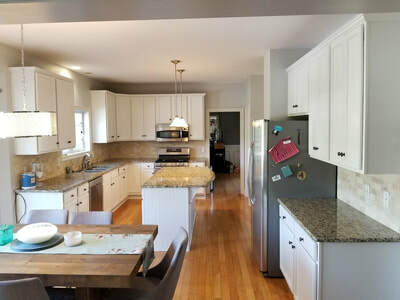 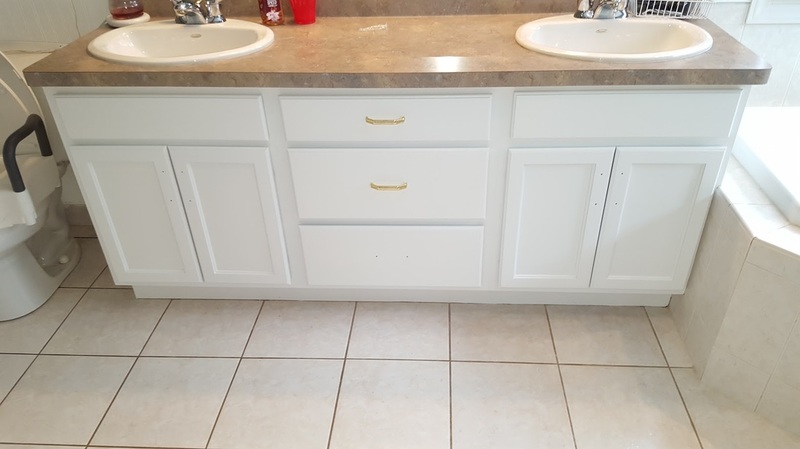 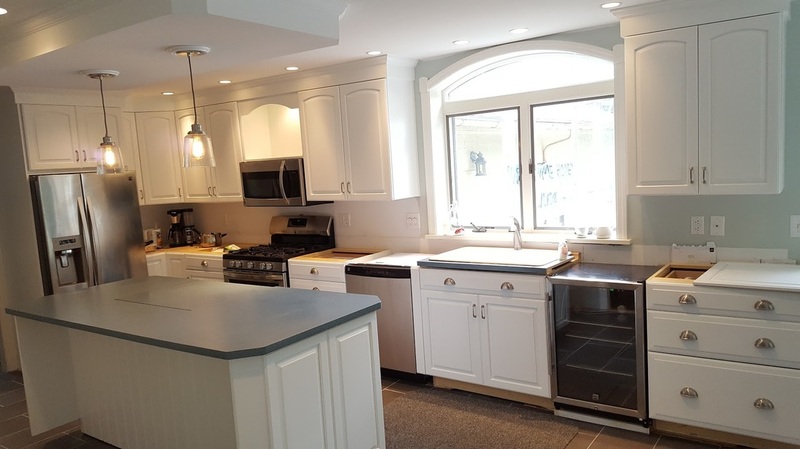 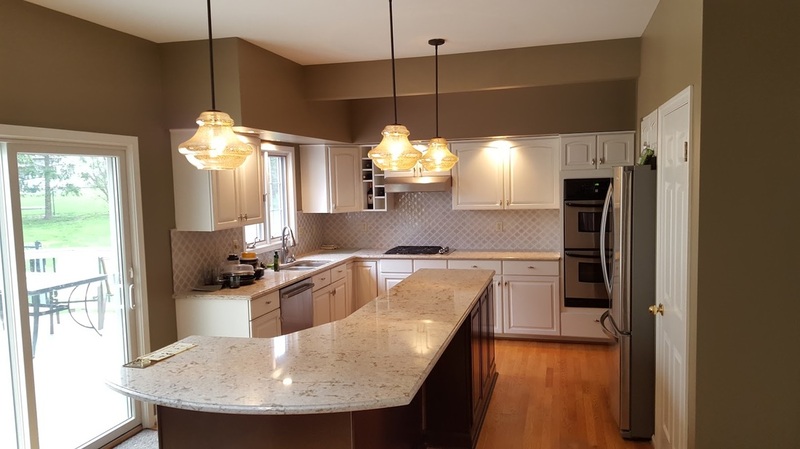 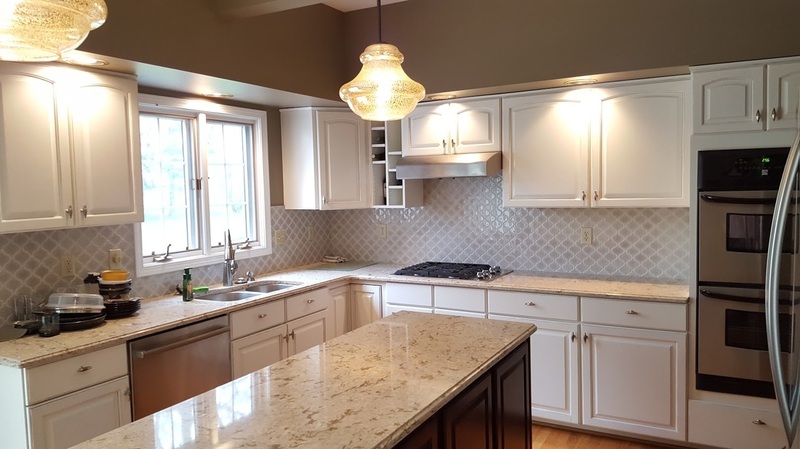 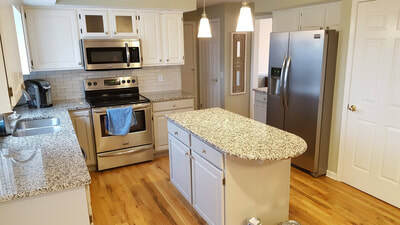 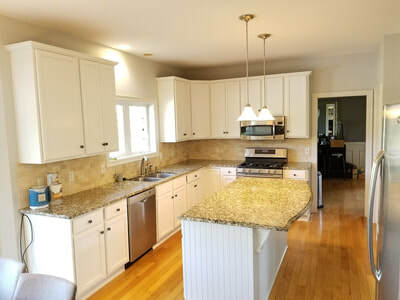 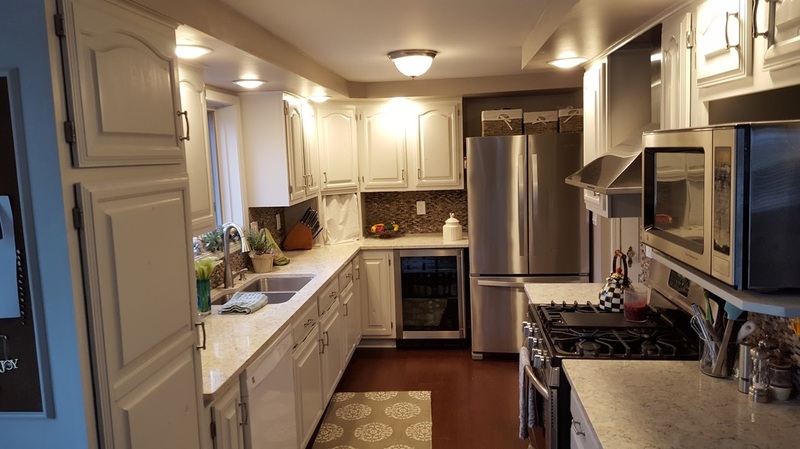 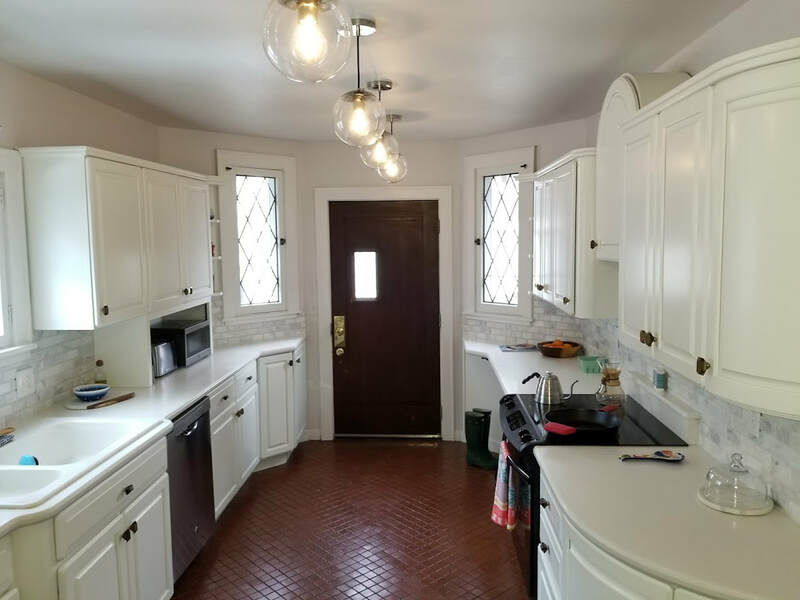 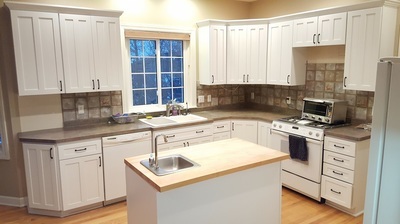 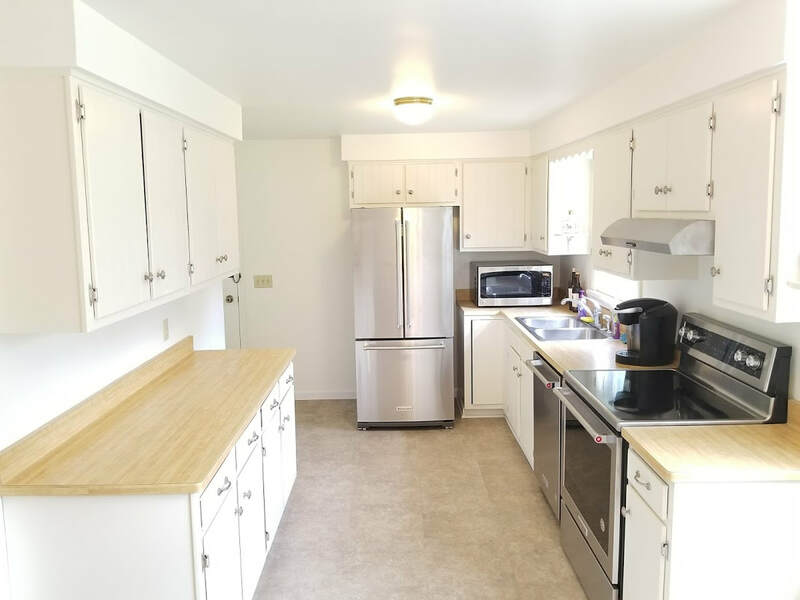 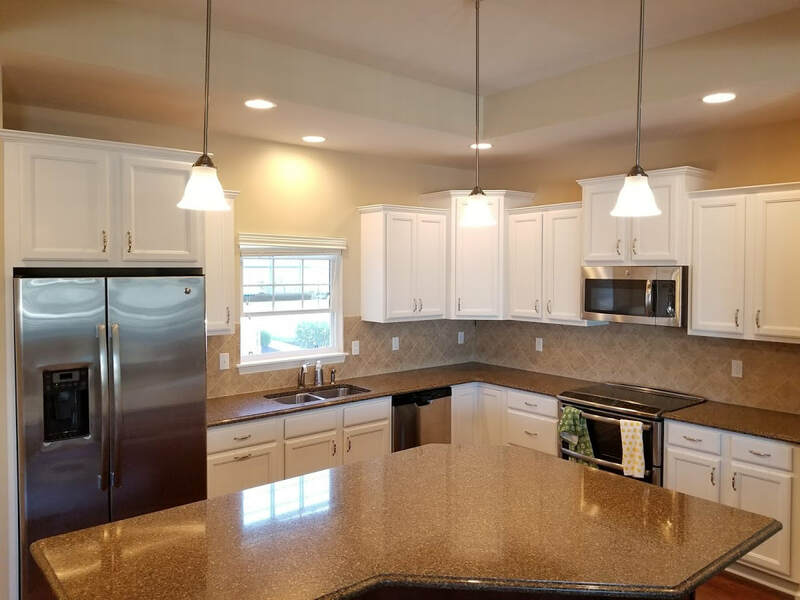 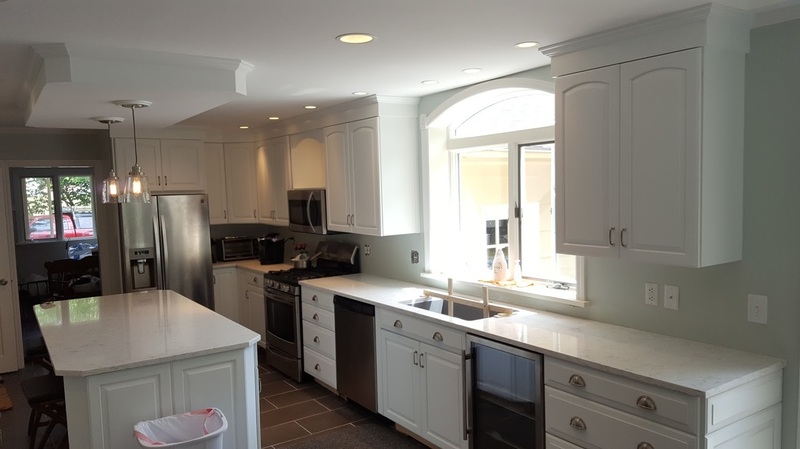 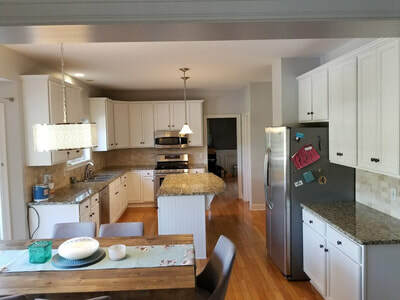 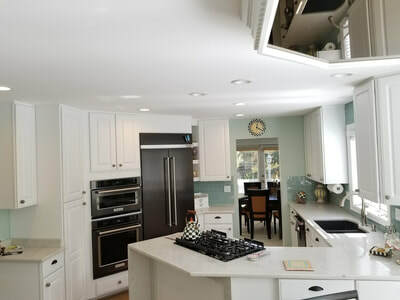 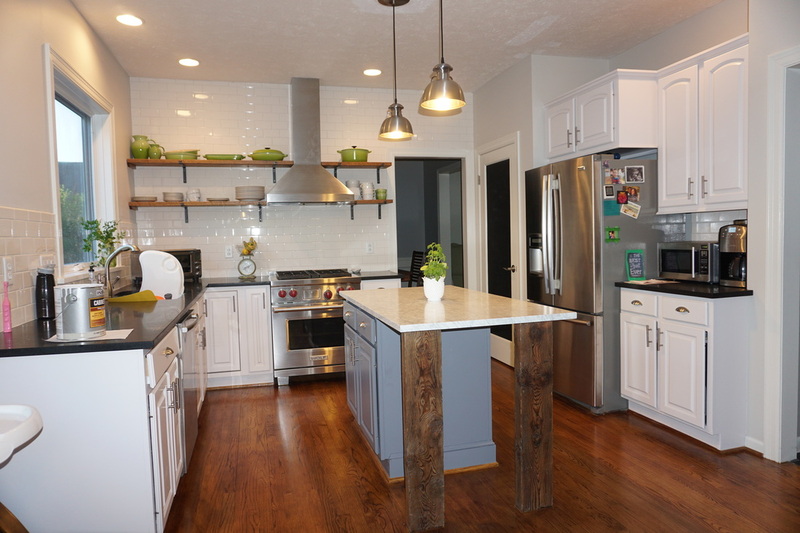 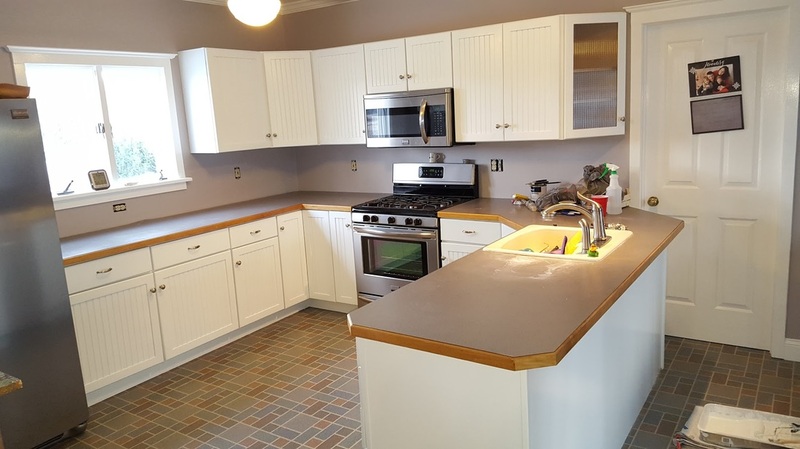 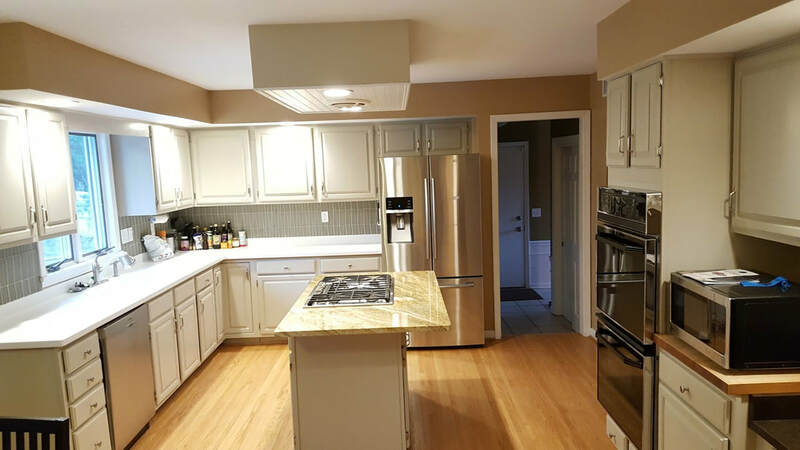 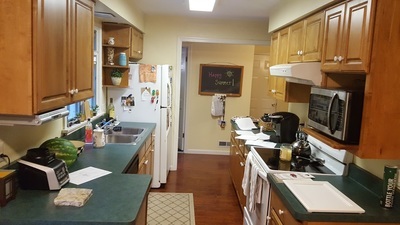 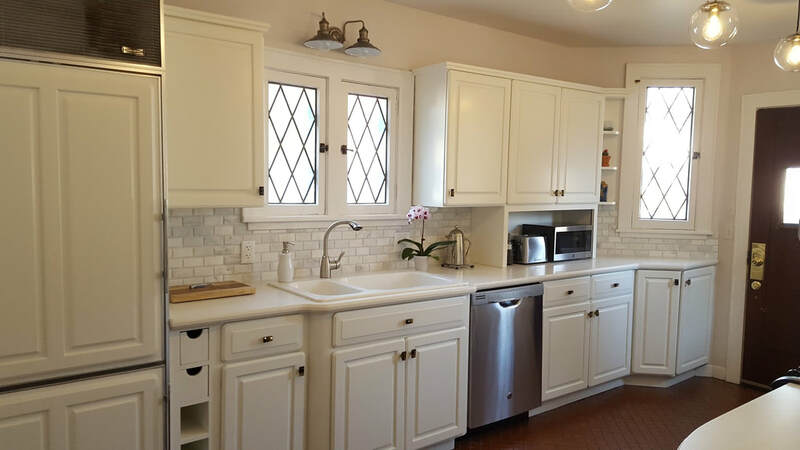 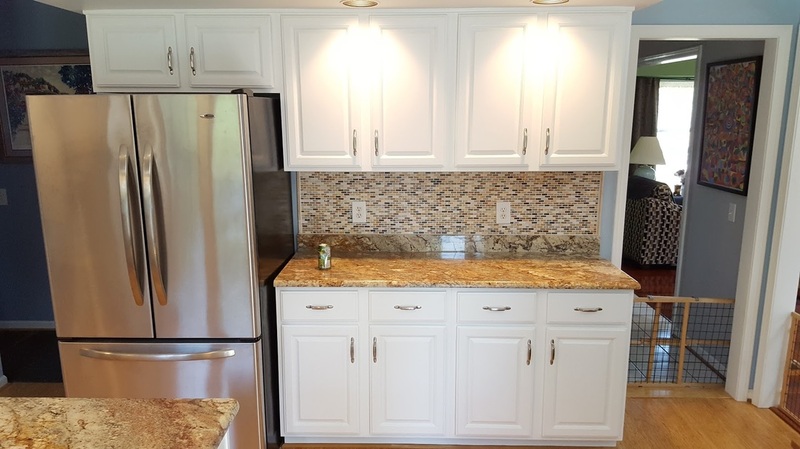 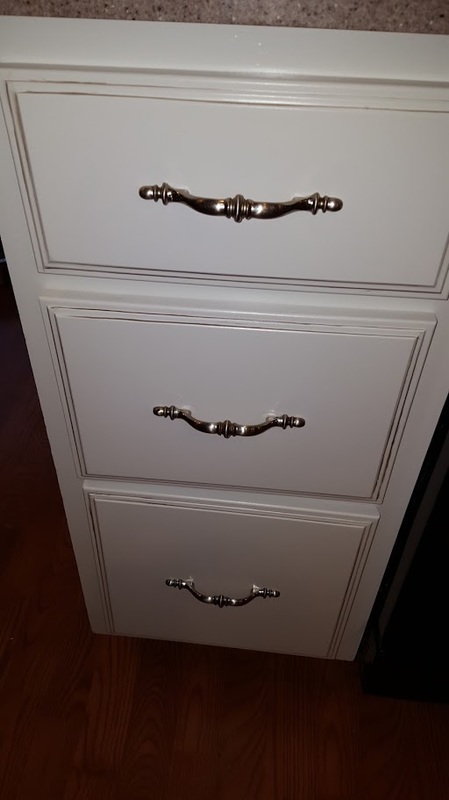 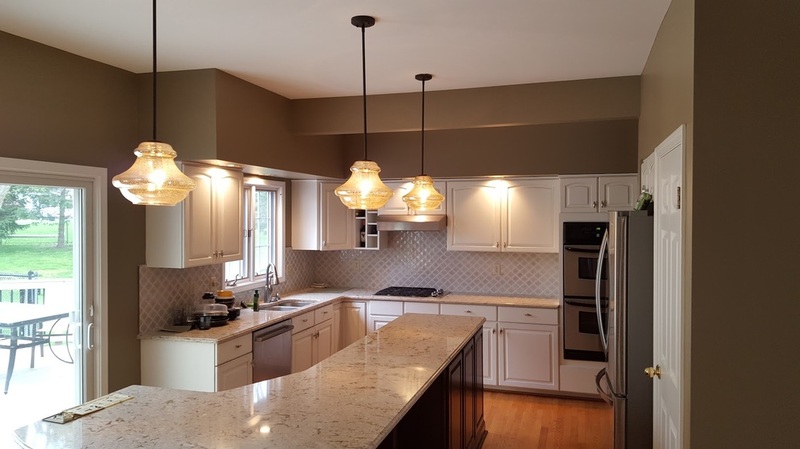 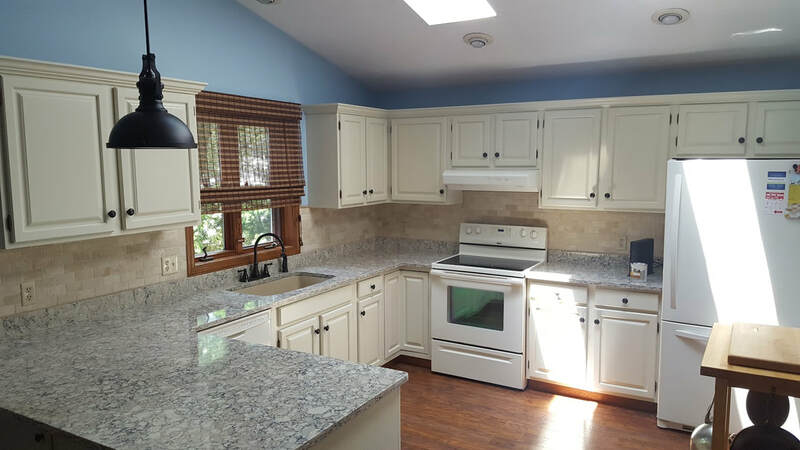 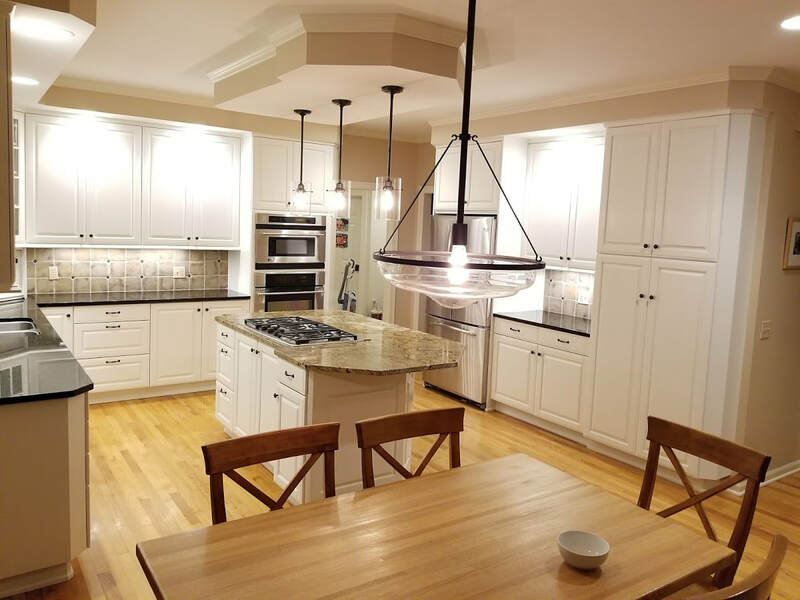 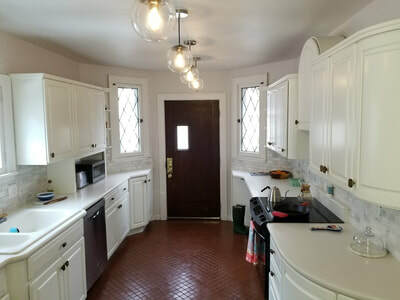 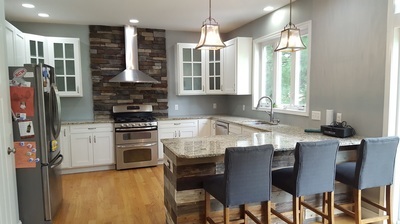 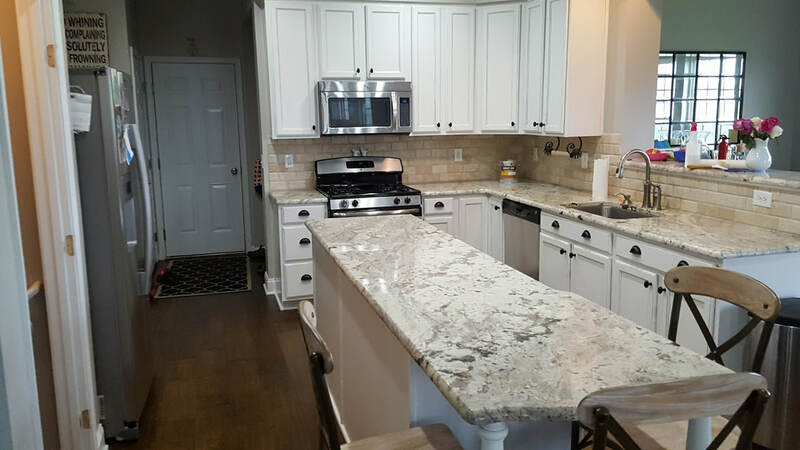 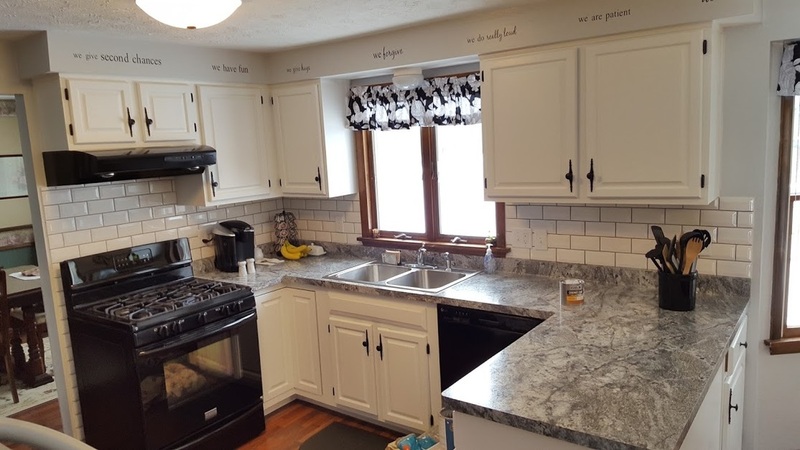 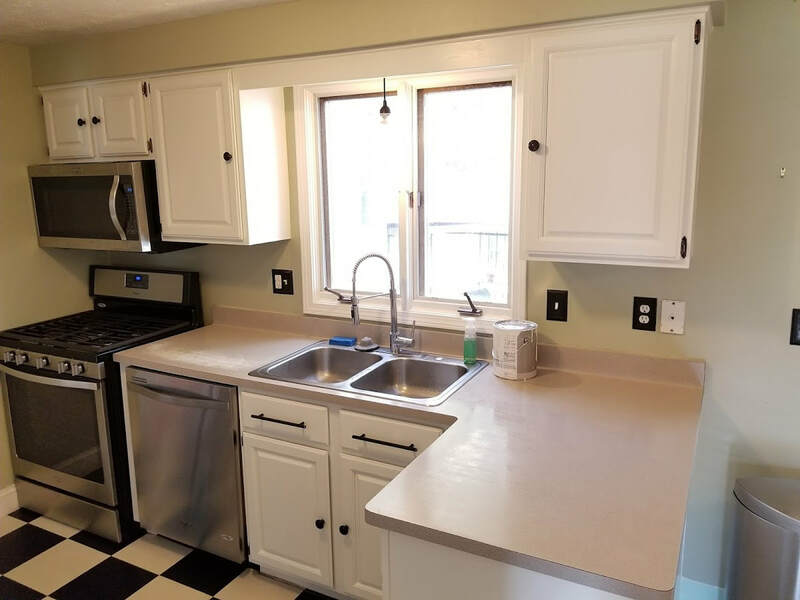 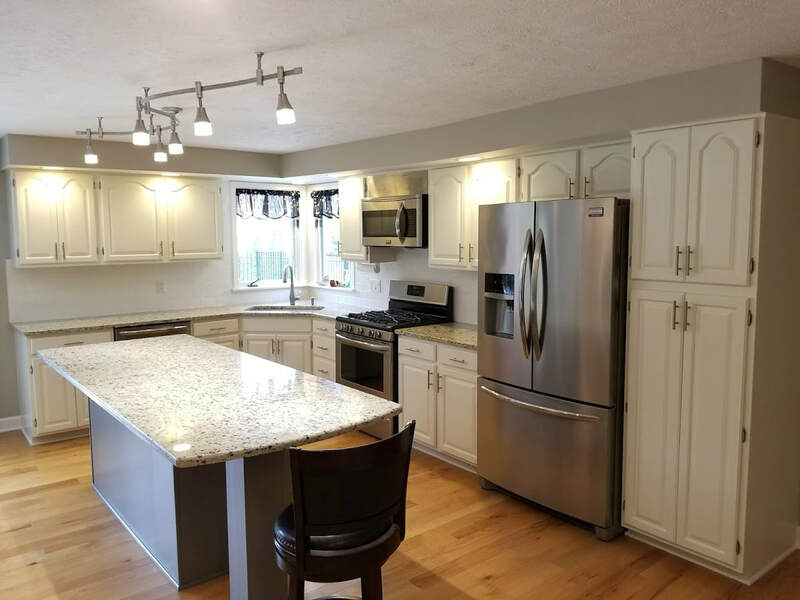 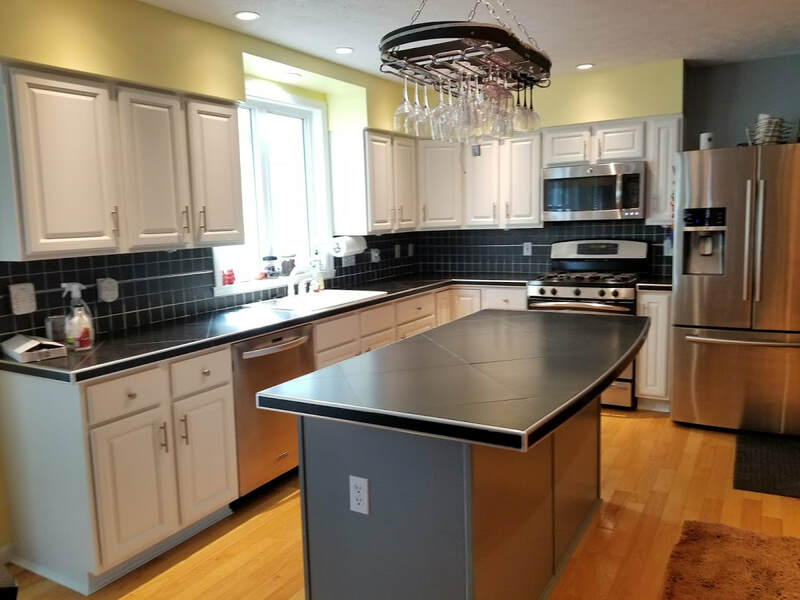 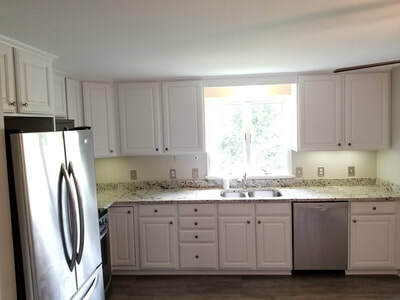 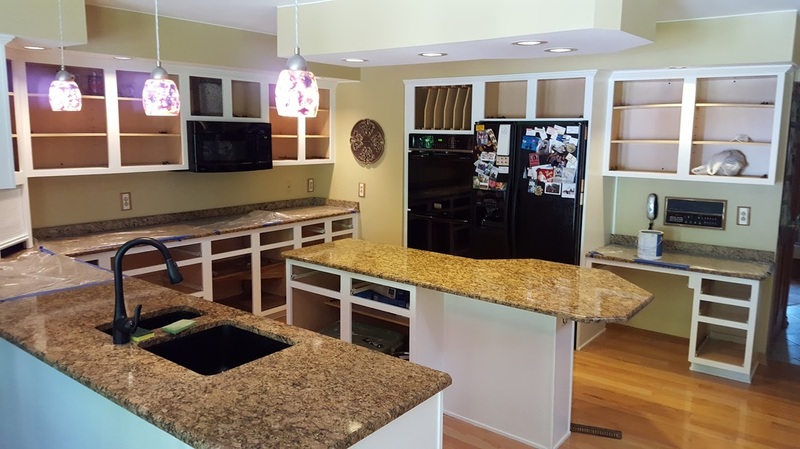 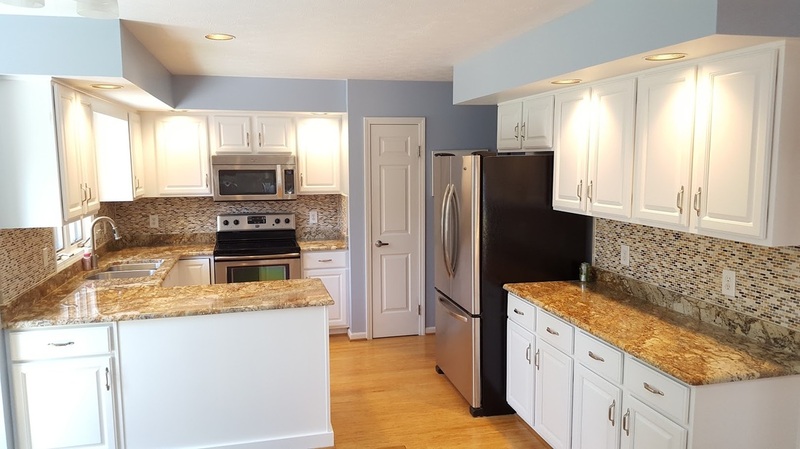 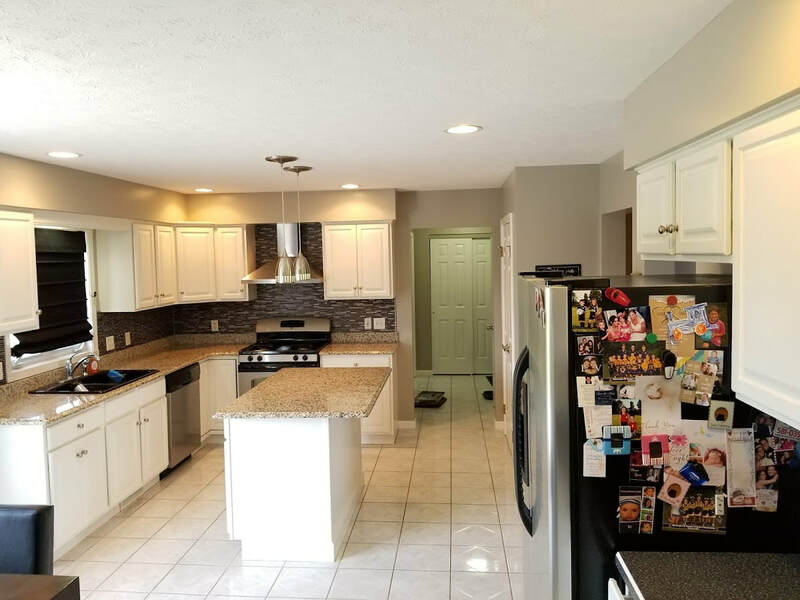 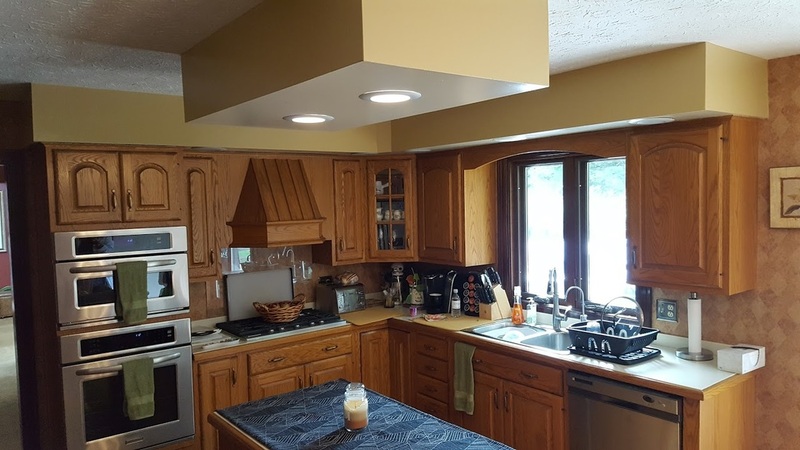 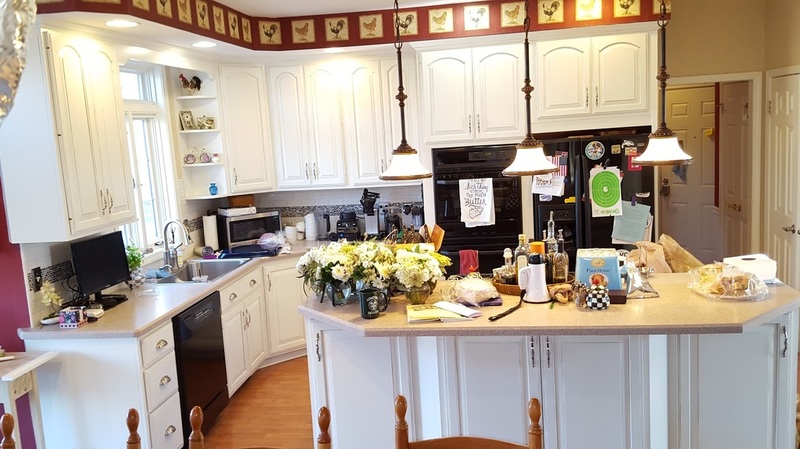 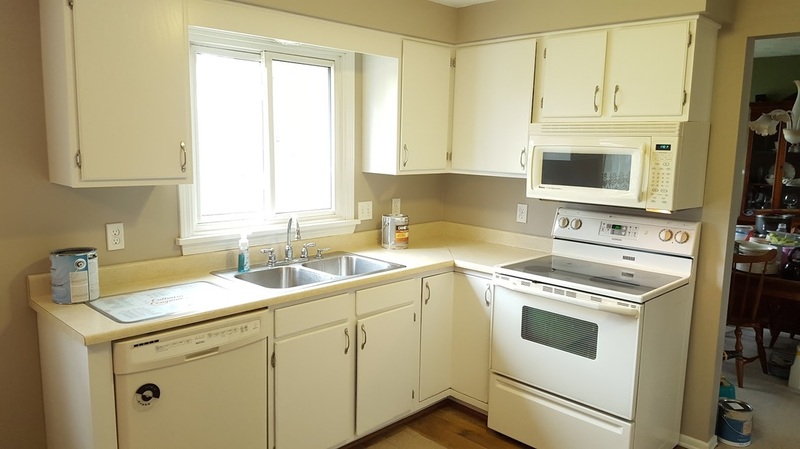 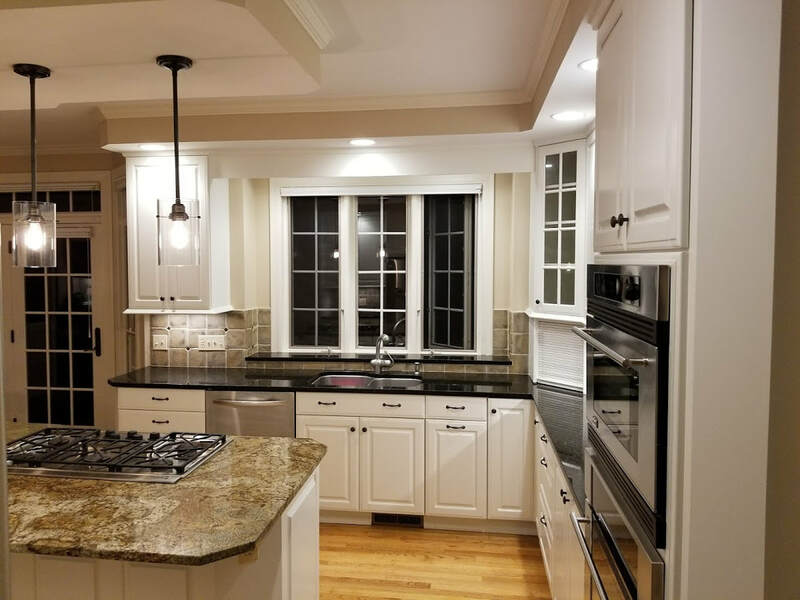 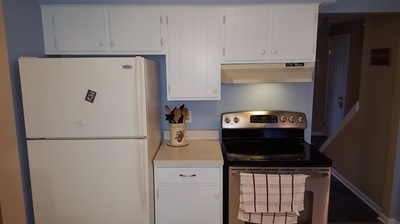 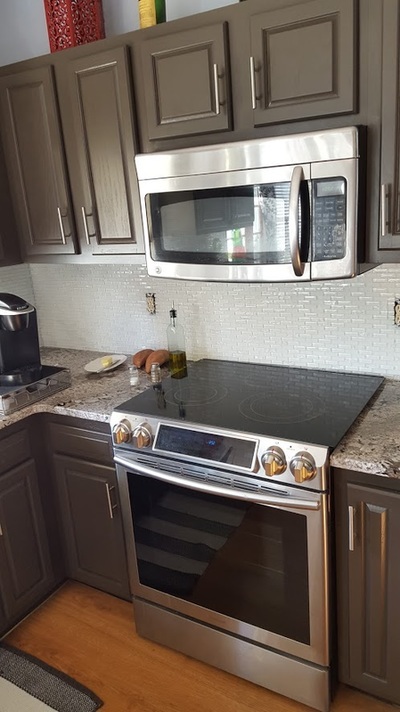 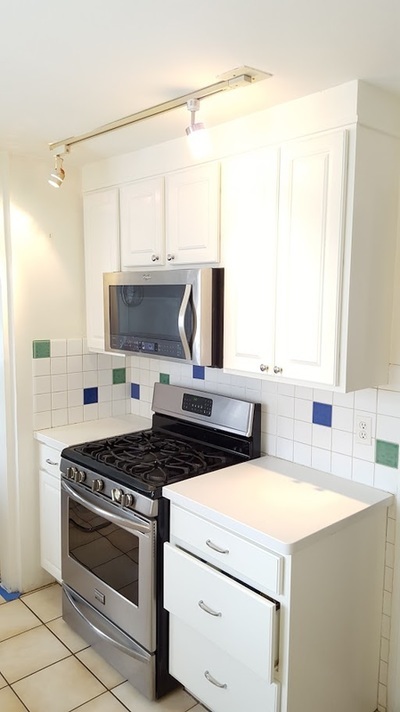 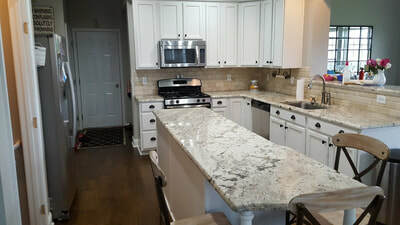 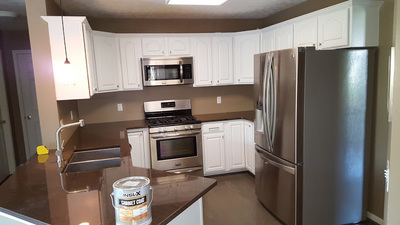 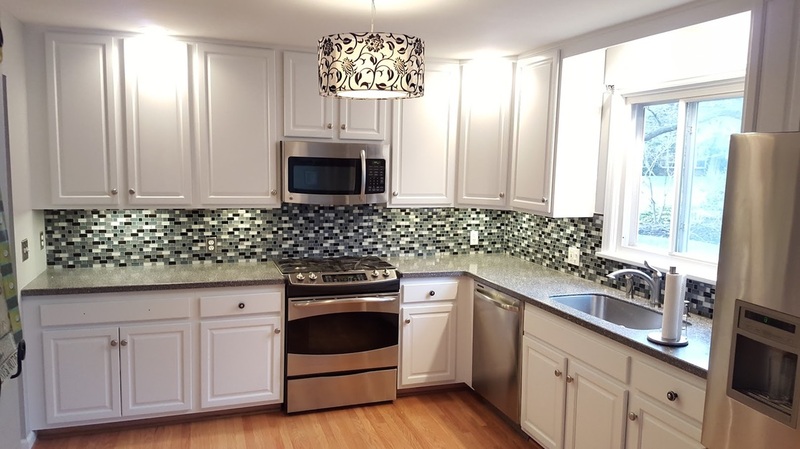 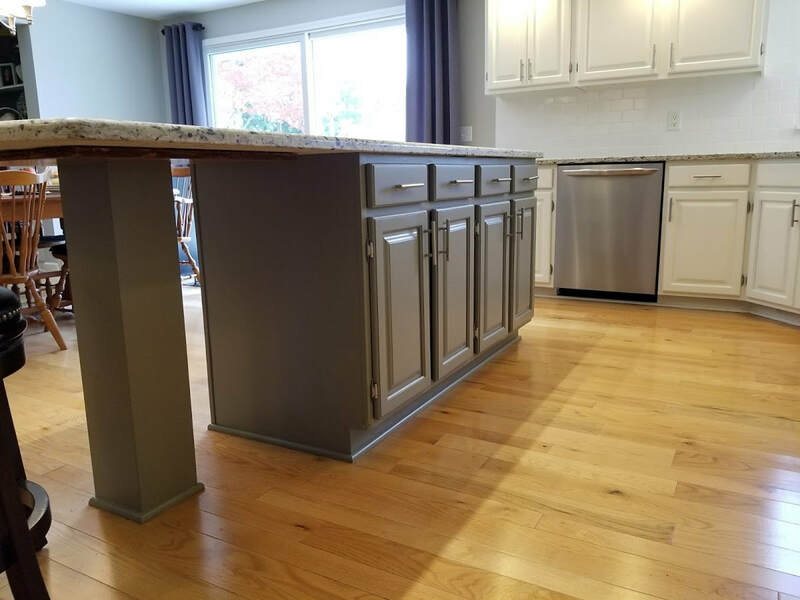 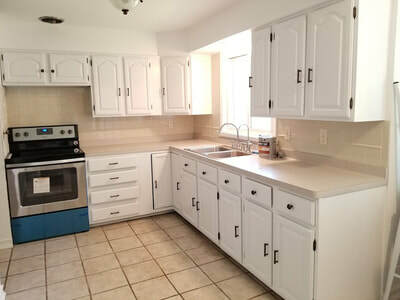 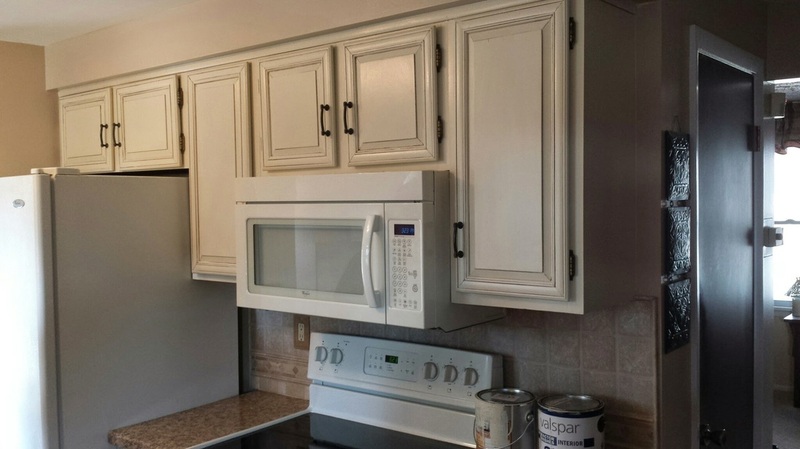 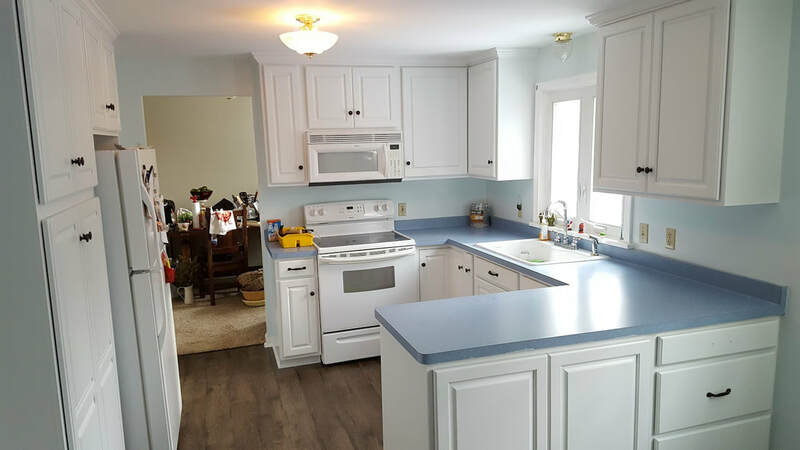 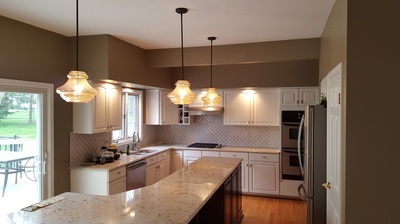 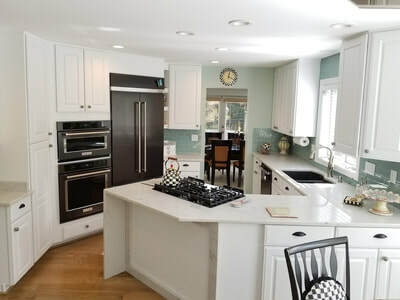 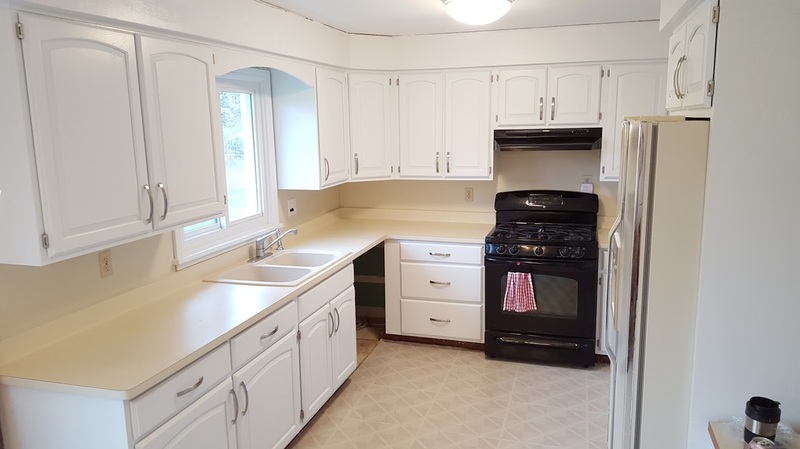 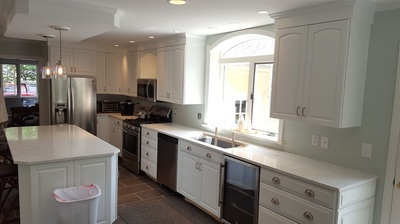 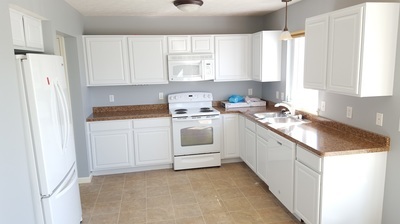 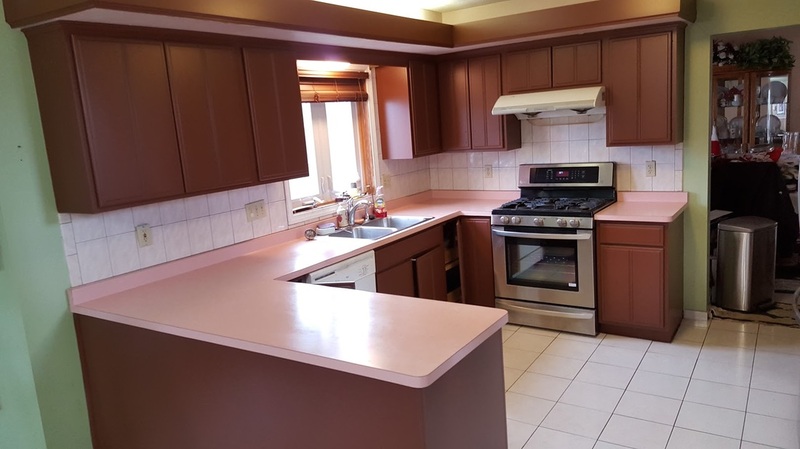 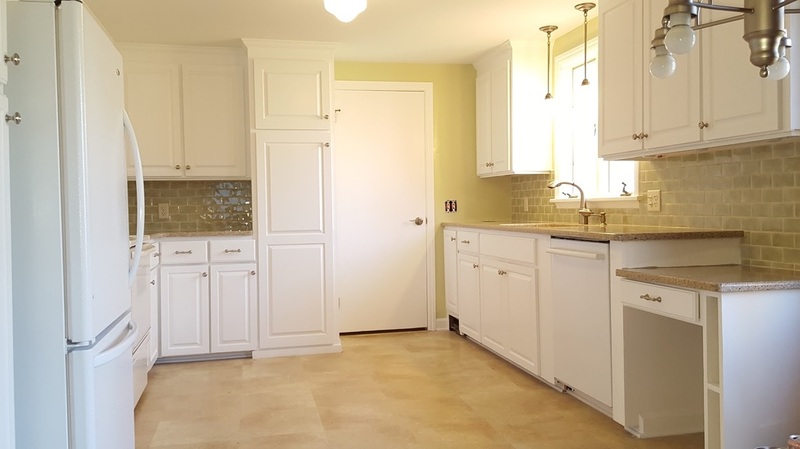 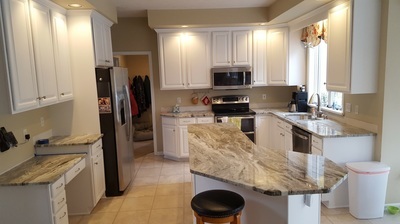 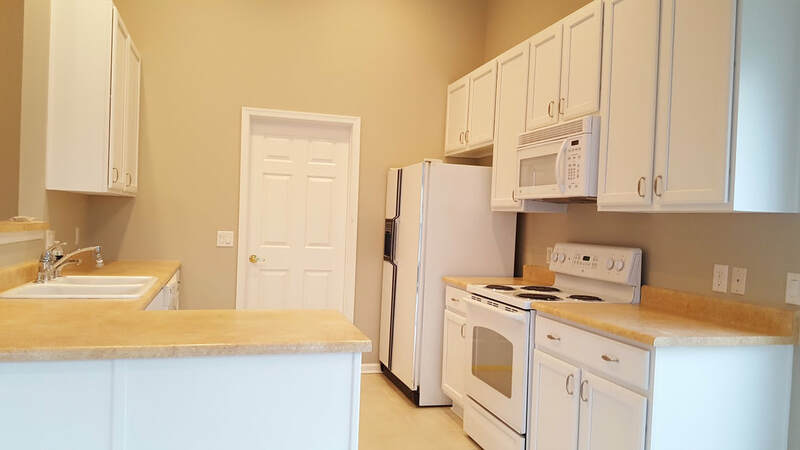 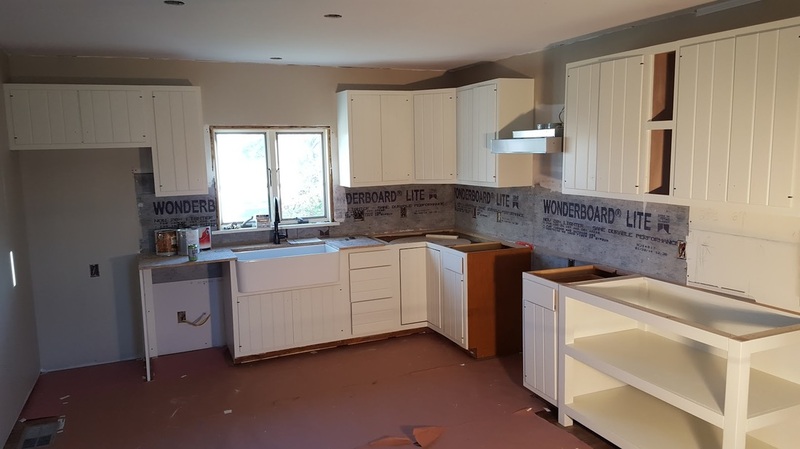 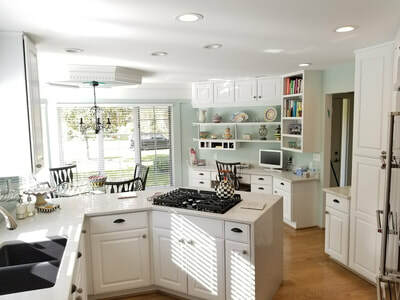 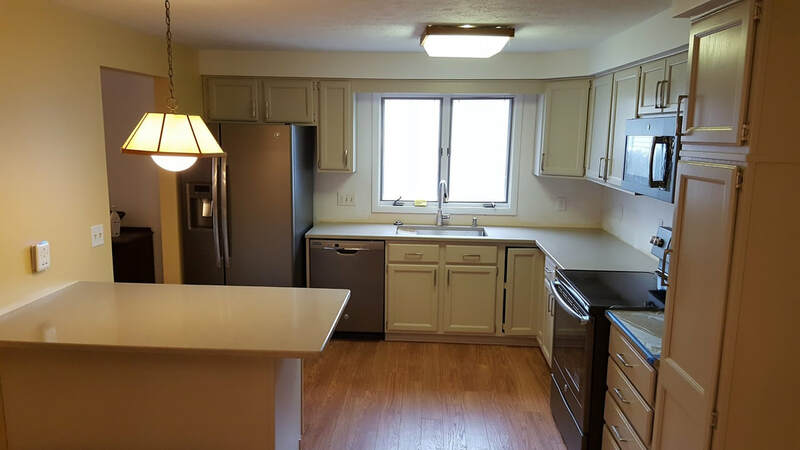 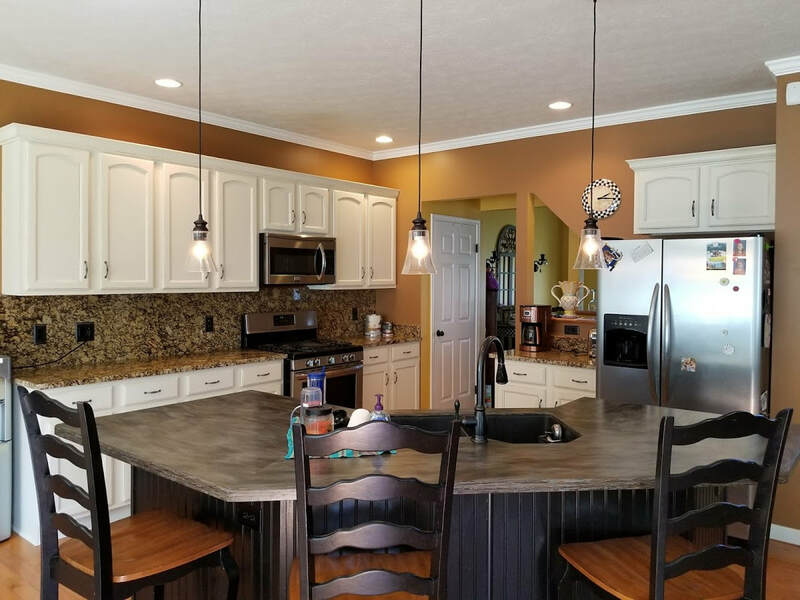 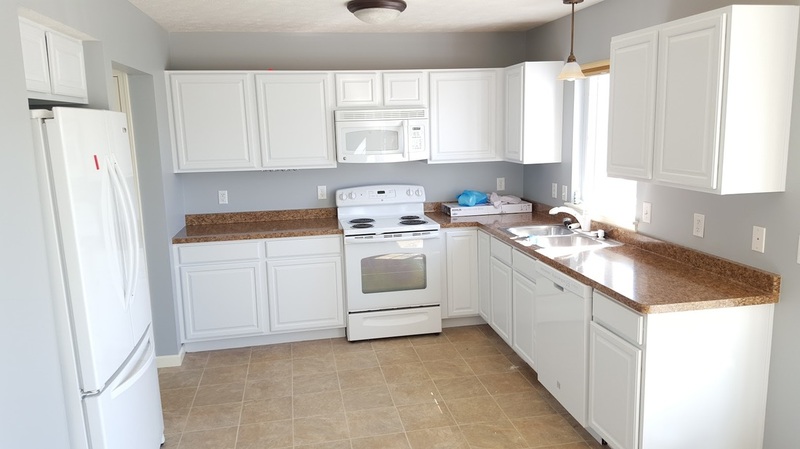 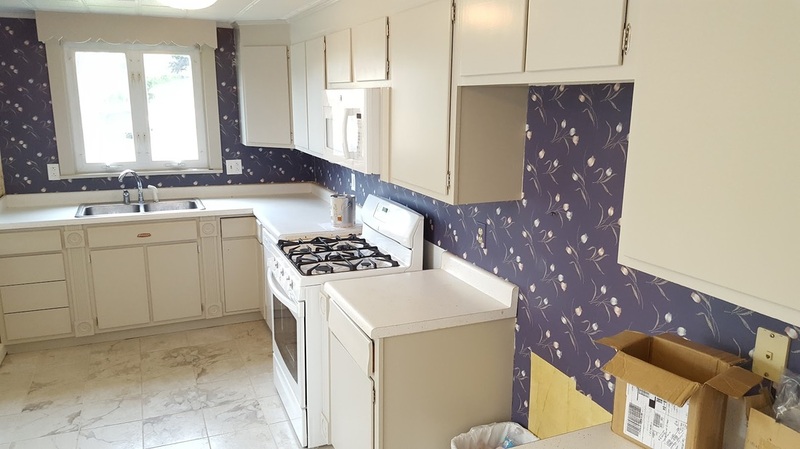 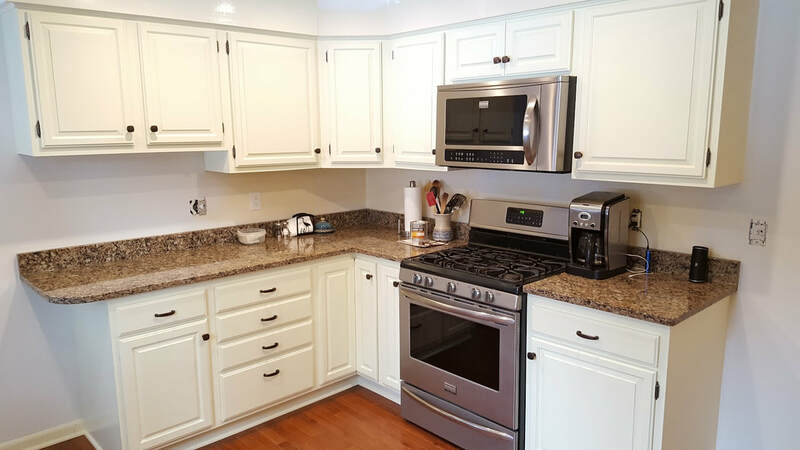 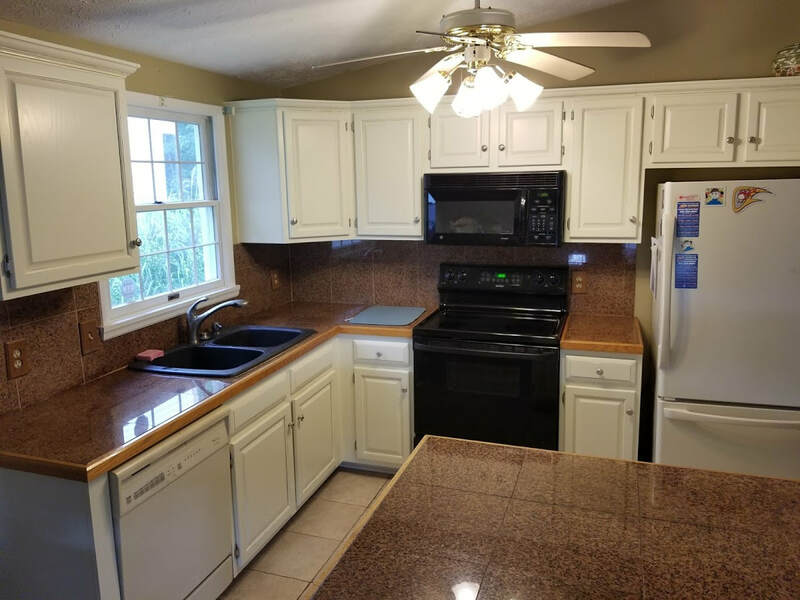 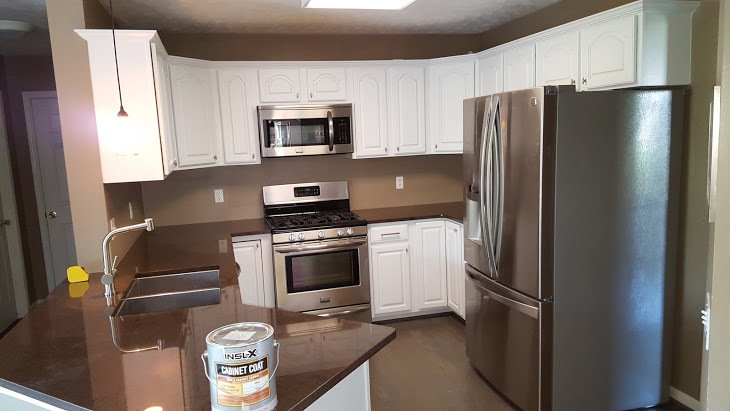 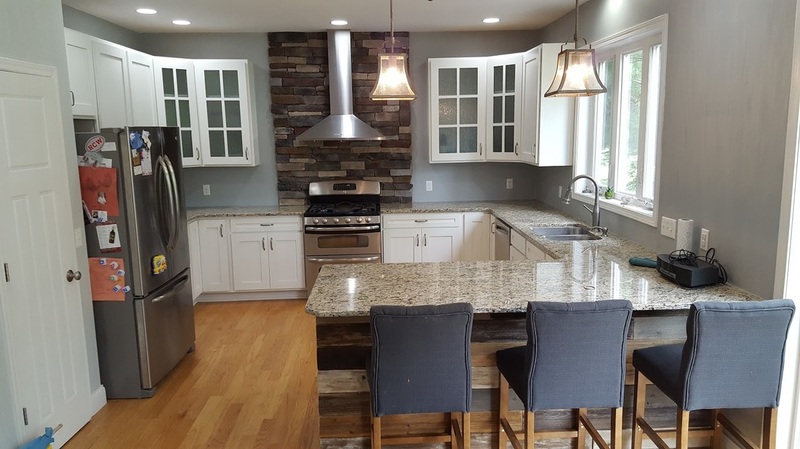 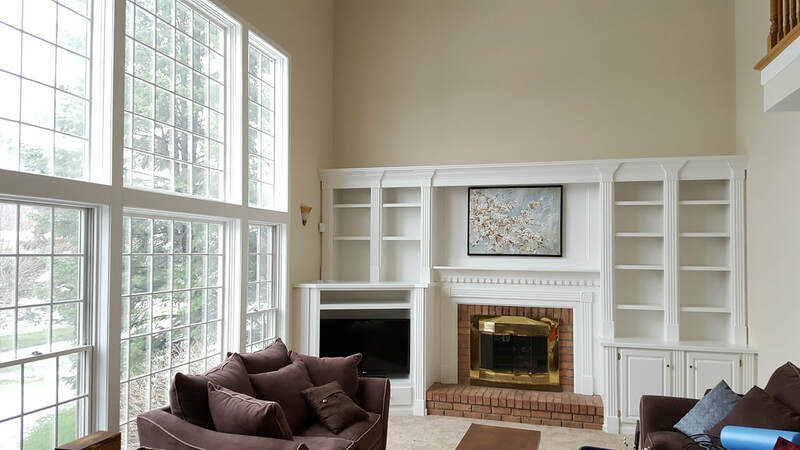 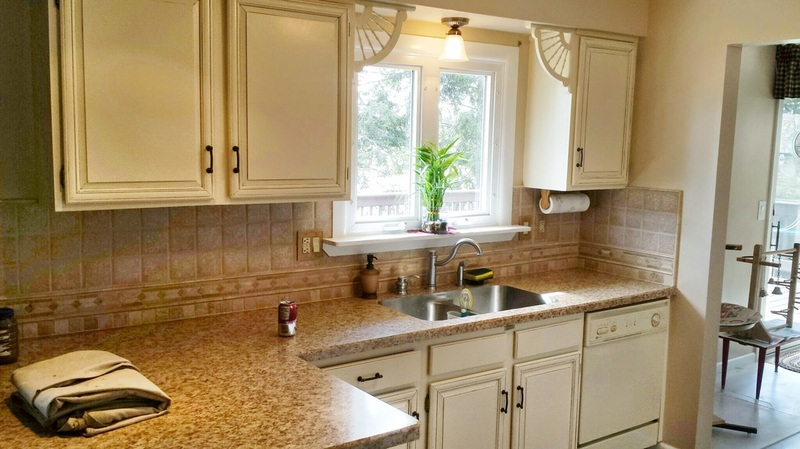 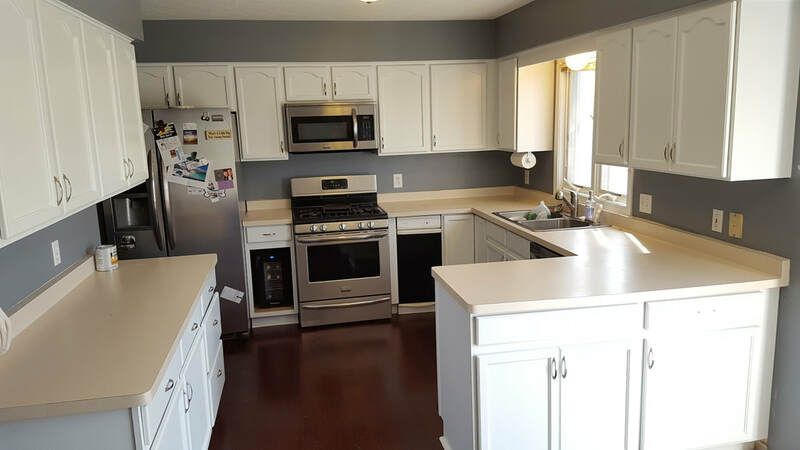 Whether you have old wood cabinets that need to be completely sanded down, or currently painted surfaces that only need a quick coat, we can get the work done at a low price. 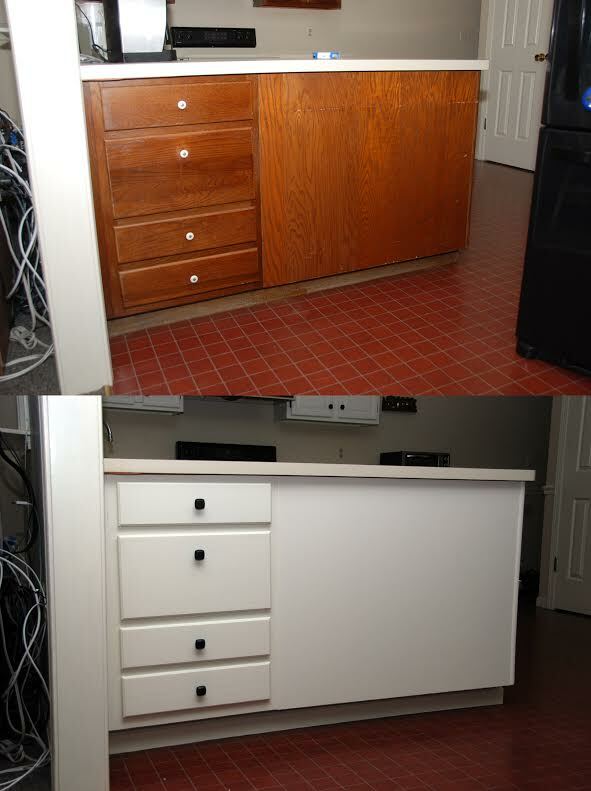 For a complete refinish, we use an eight step process. 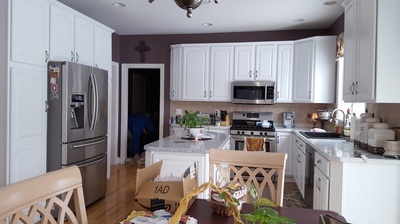 We start by removing all hinges and other hardware. All surfaces will then be cleaned of any dirt, grease, or other build up. After cleaning and removal, we sand all of the current finish off, exposing bare wood. 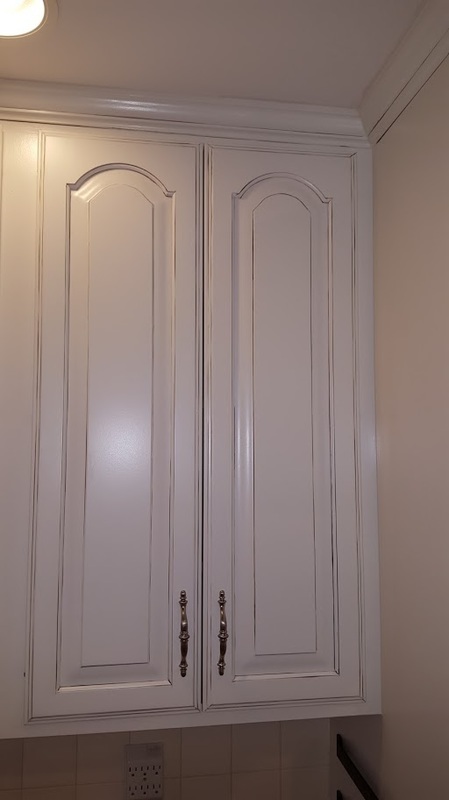 We will sand your doors in our shop. For sanding in your kitchen, we sand with very minimal dust, making sure to protect your belongings. 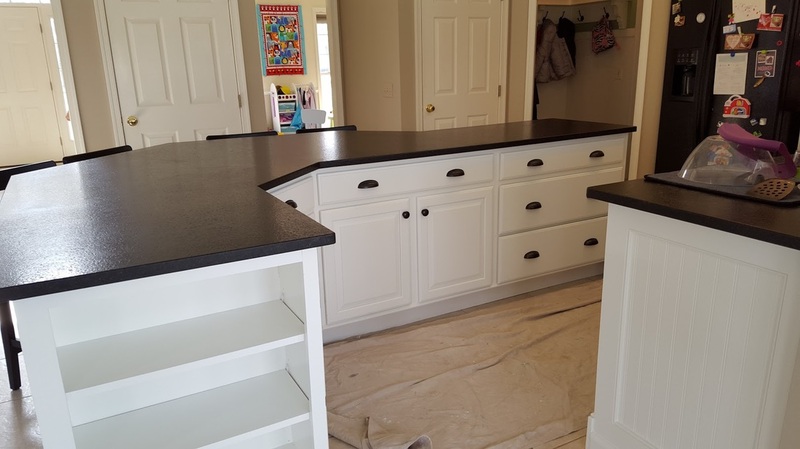 Next we will apply a high quality bonding primer, or an appropriate stain blocking, oil primer. 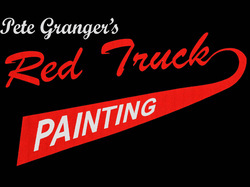 The primer can be tinted to your desired color, to ensure great color coverage. 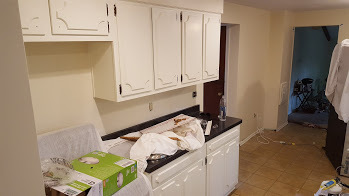 Once the first coat of paint is applied, we will resand with a fine sand paper, and apply a second coat of paint. 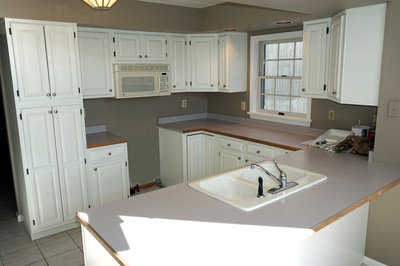 We offer finishes by brush, roller, or sprayer. 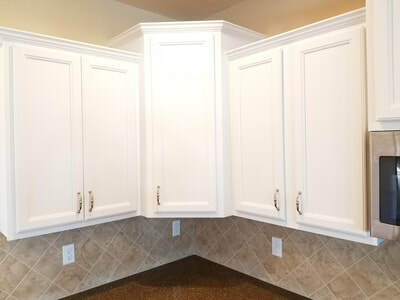 We can install new hinges and hardware if you like. 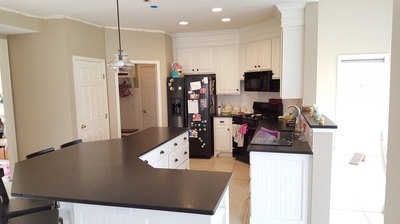 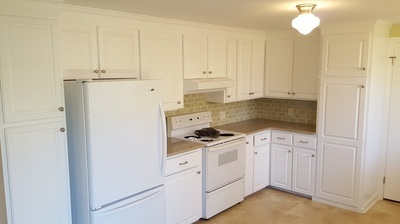 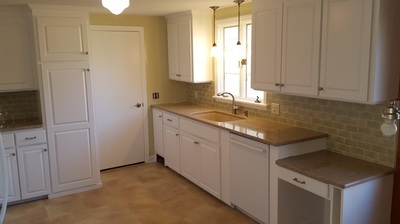 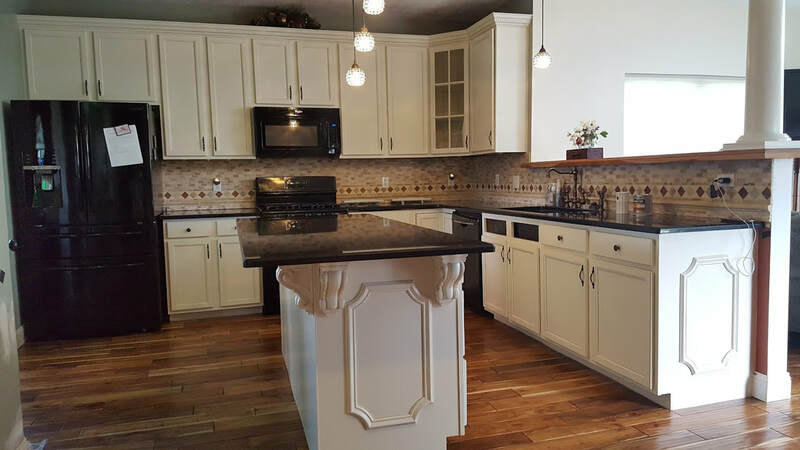 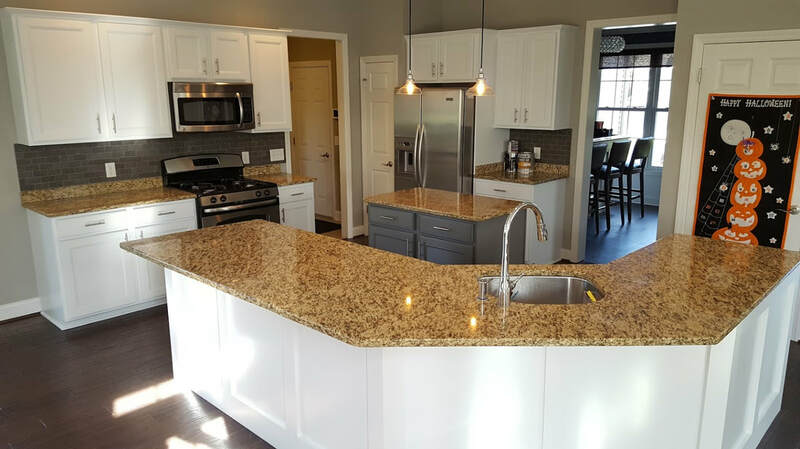 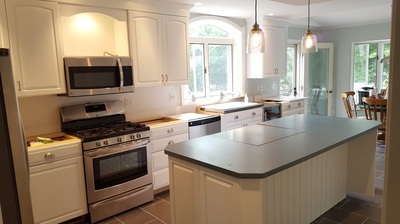 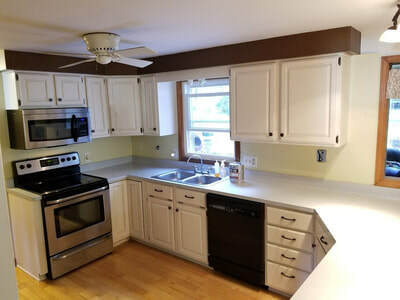 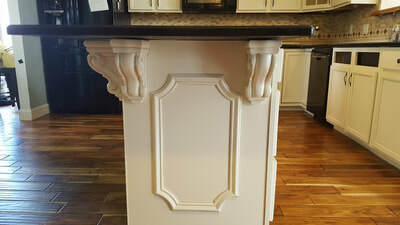 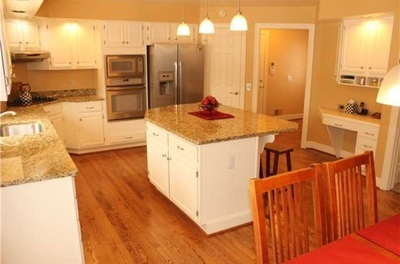 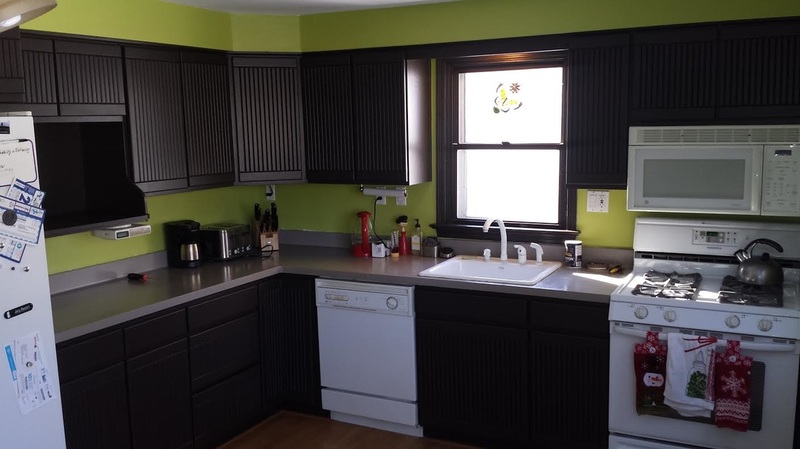 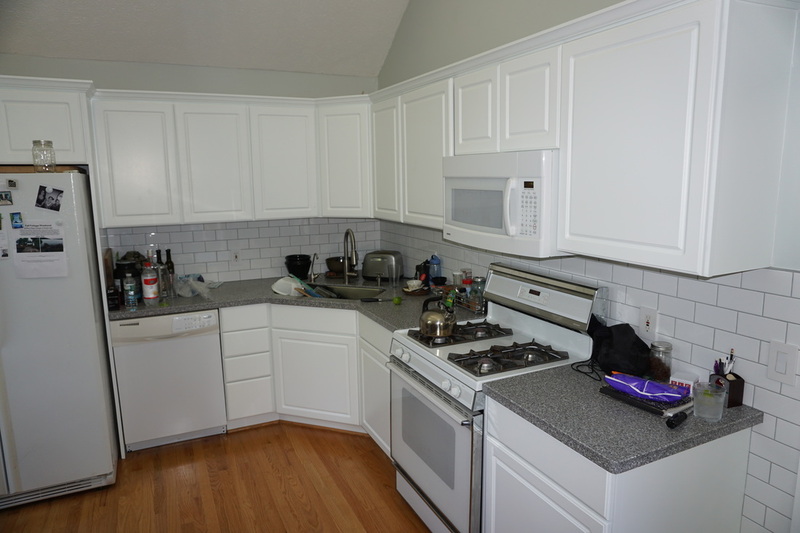 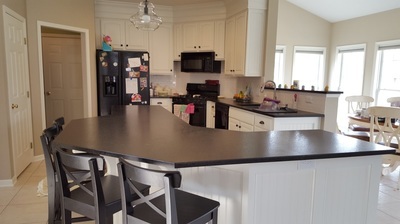 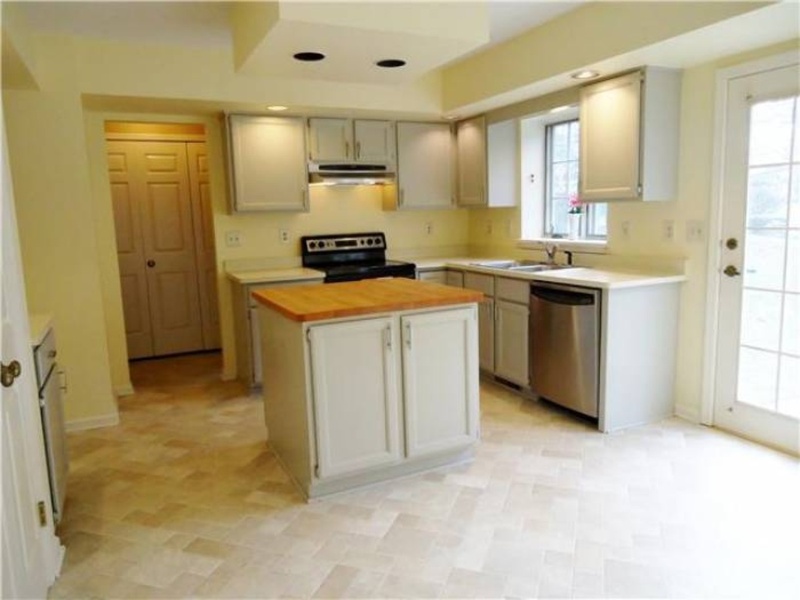 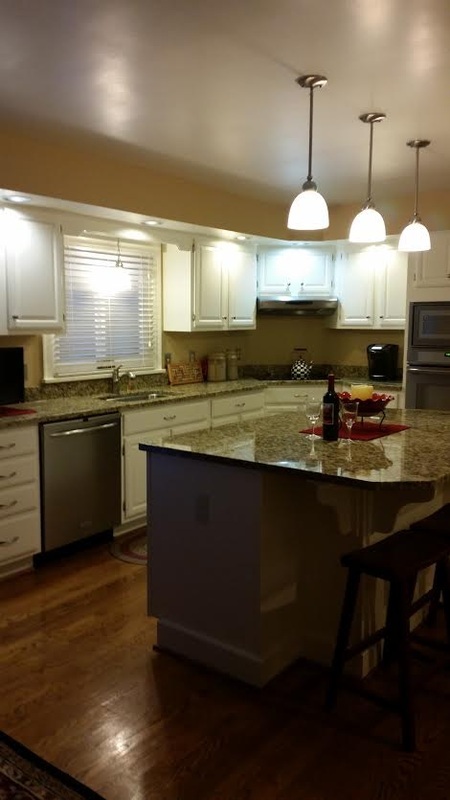 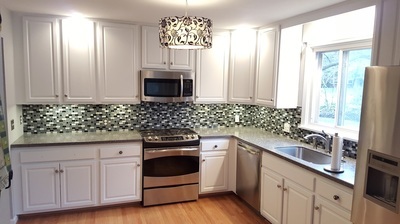 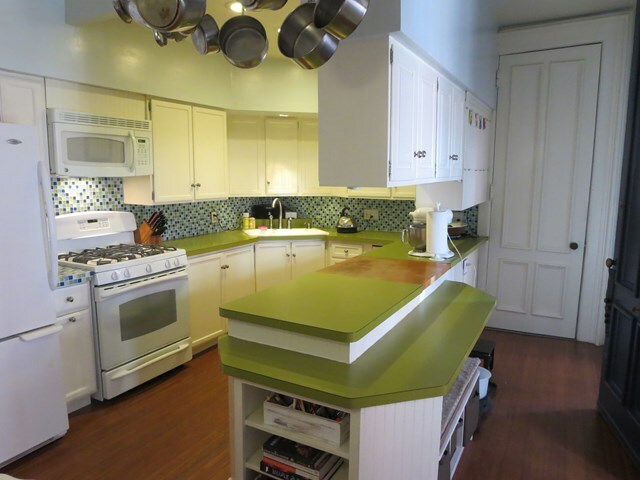 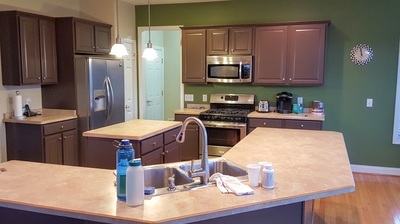 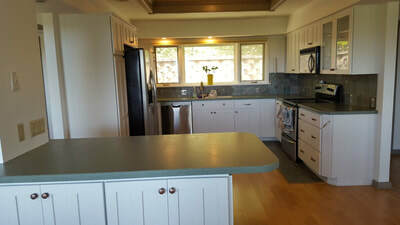 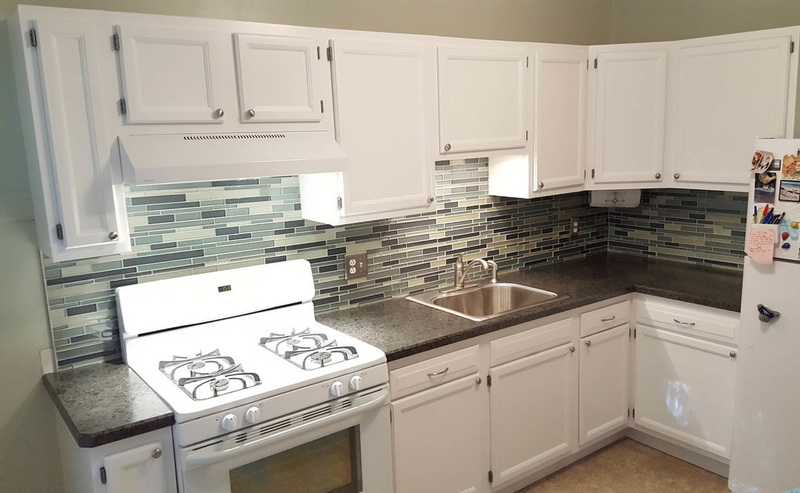 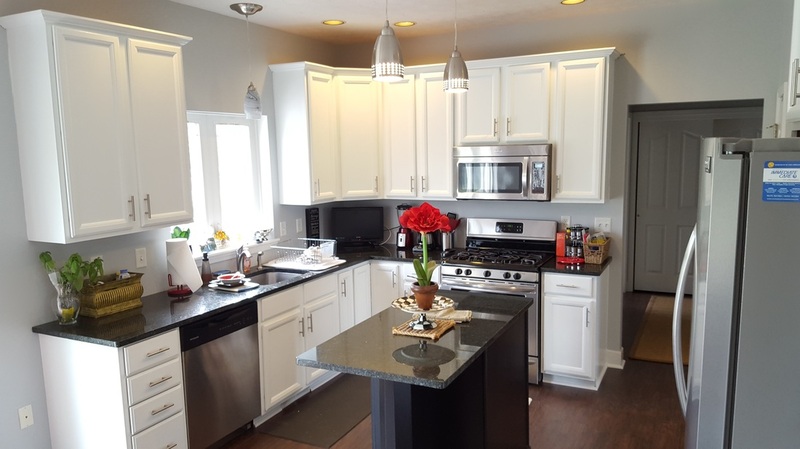 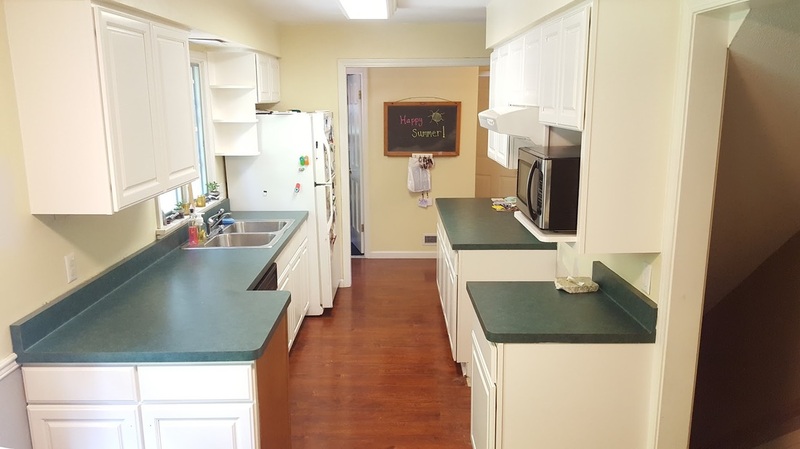 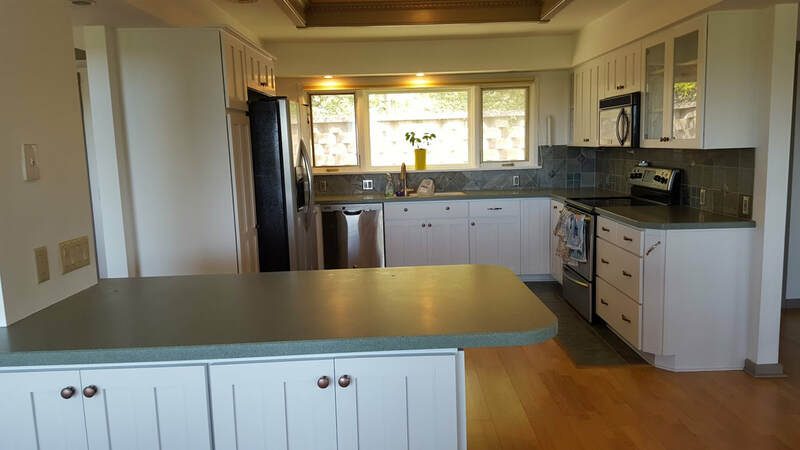 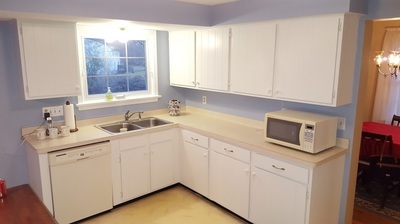 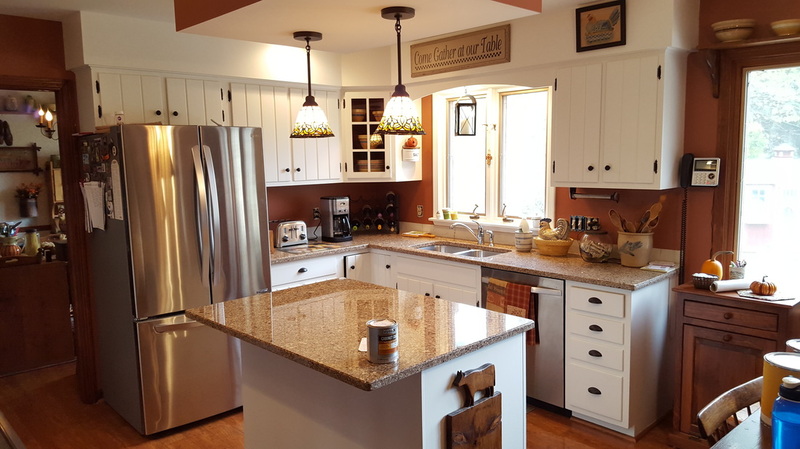 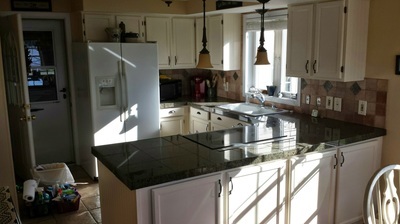 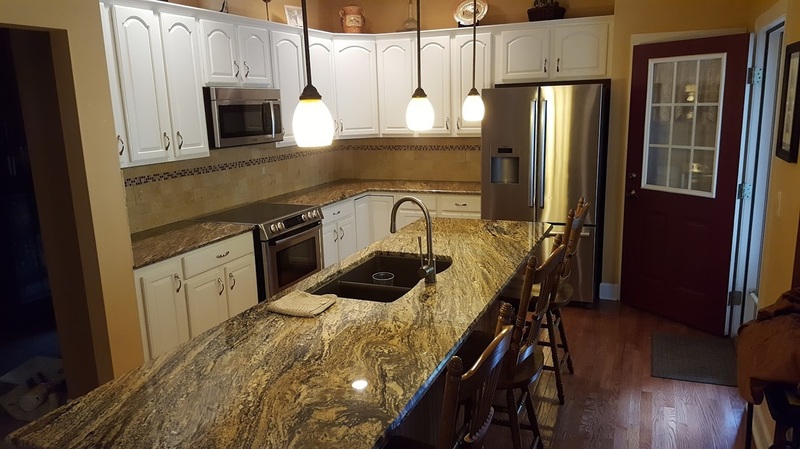 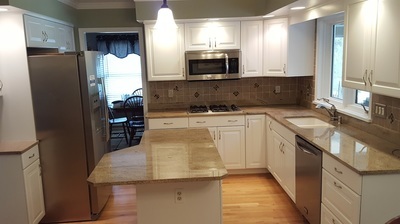 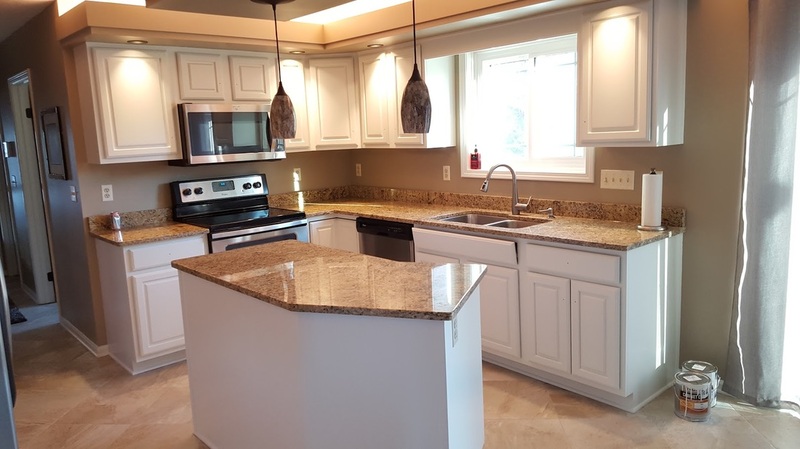 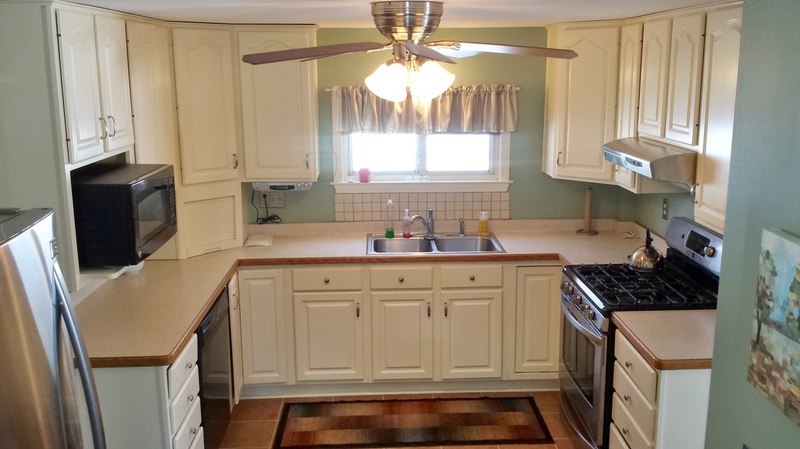 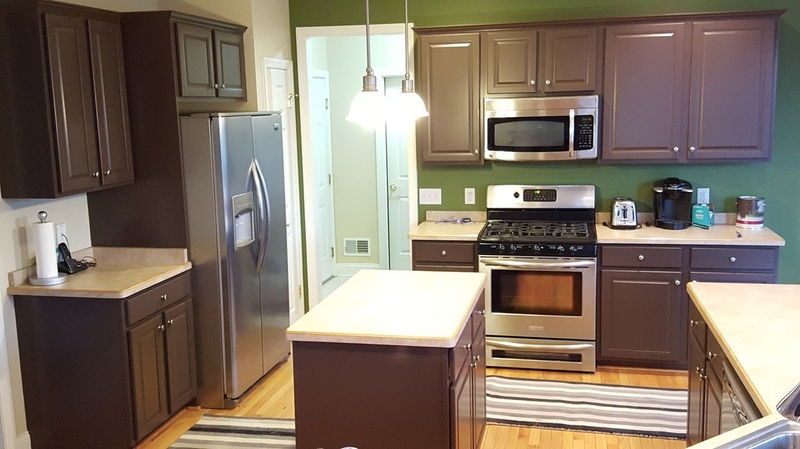 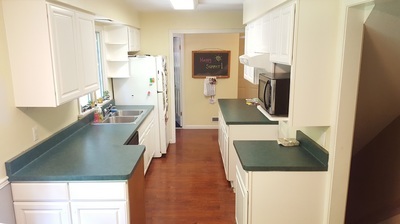 Ask us about specialty coatings for counter top painting. 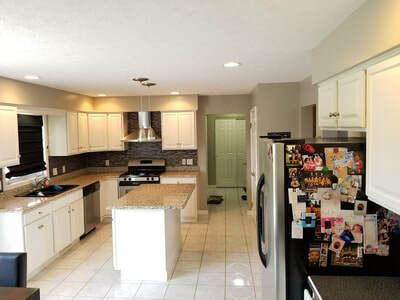 ​Here is an example of a before and after. 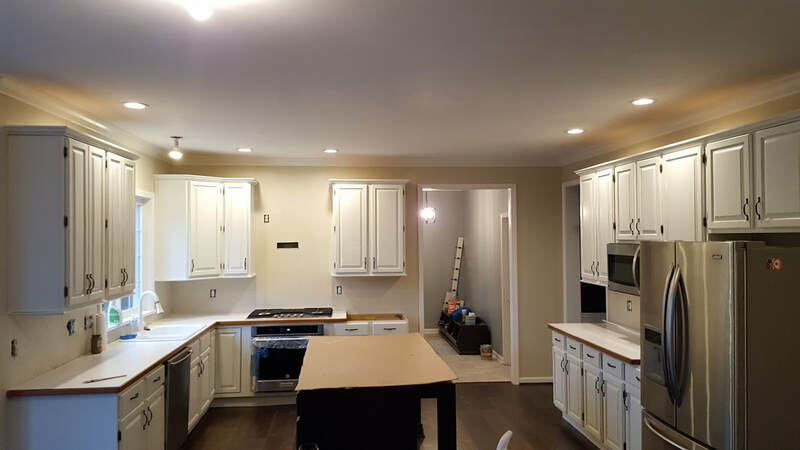 Below are projects we have completed over the past few years. 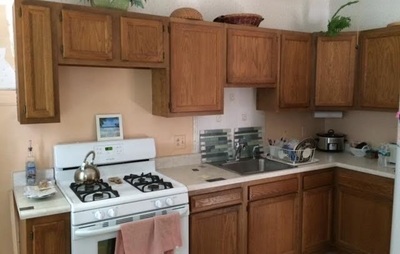 Many references available. 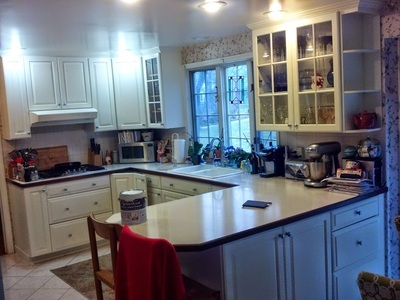 Red Truck Painting provides residential and commercial cabinet painting for Rochester, NY and surrounding areas. 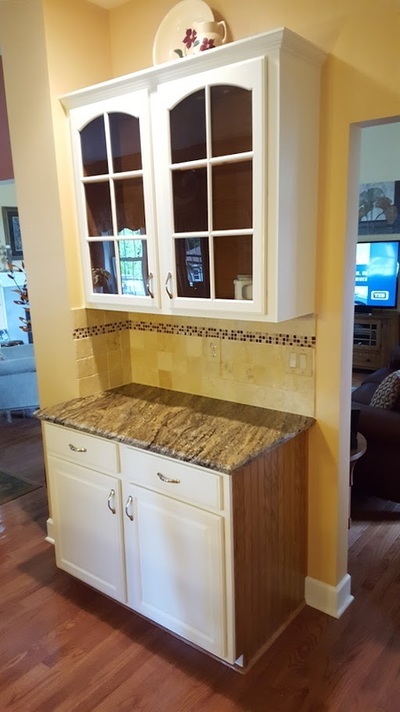 General Home Repairs - Carpentry, Masonry, etc.